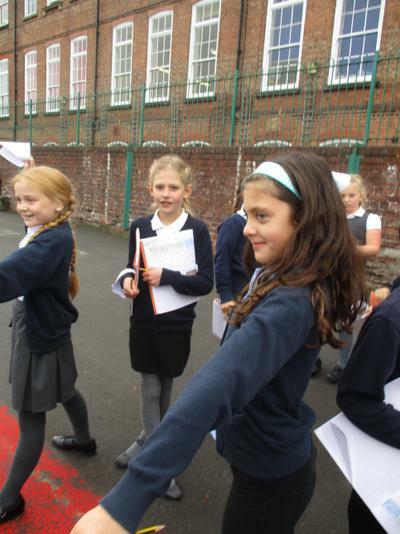 Welcome to our page, where we will post pictures, videos and keep you updated on our exciting events and projects! 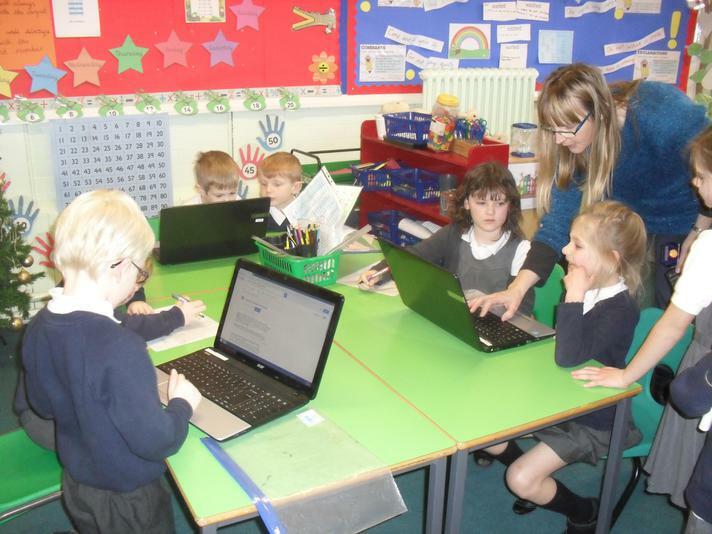 1- To highlight e-safety as a key priority and to make e-safety a focus for all our children when using the internet. 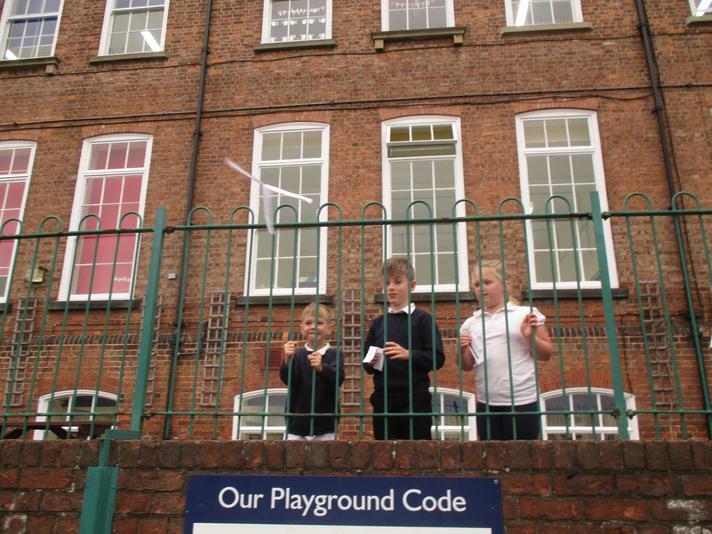 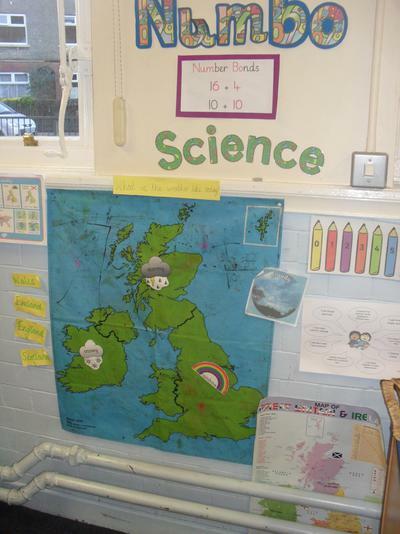 2- To encourage lots of exciting practical science and design opportunities for our children. 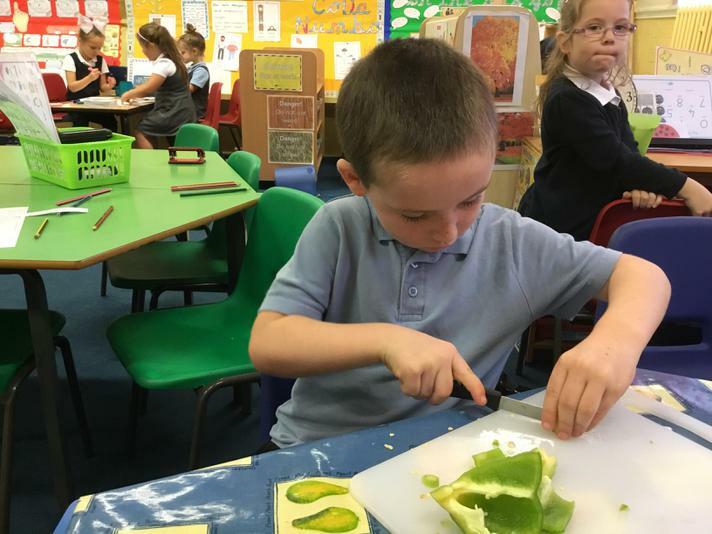 3- To work closely with our parents and the local community to enable our children develop aspirations in science, design and technology. 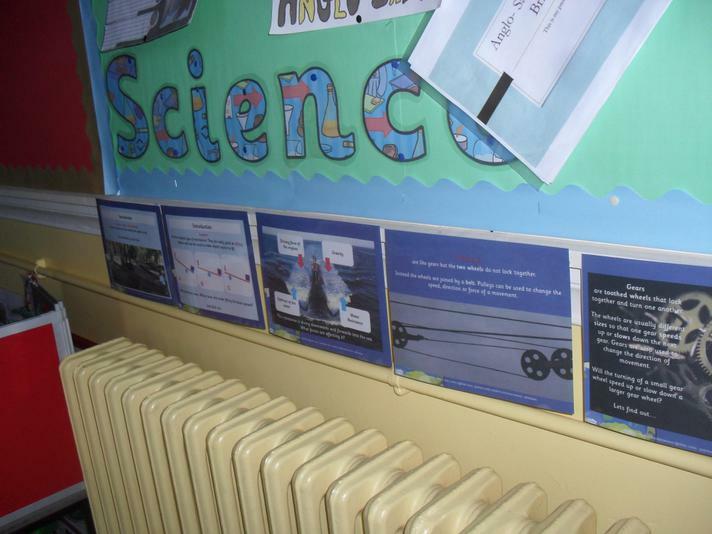 4- To embed the STEM subjects throughout the year with our STEM week. 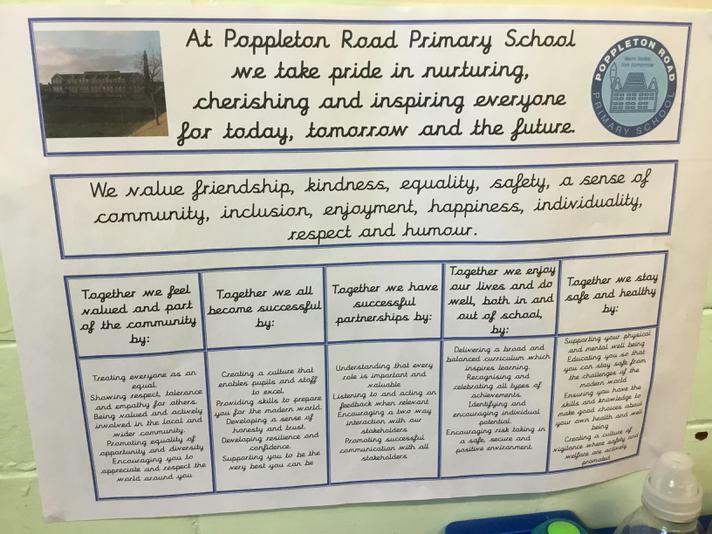 All we do in our team, links closely to our school vision and aims. 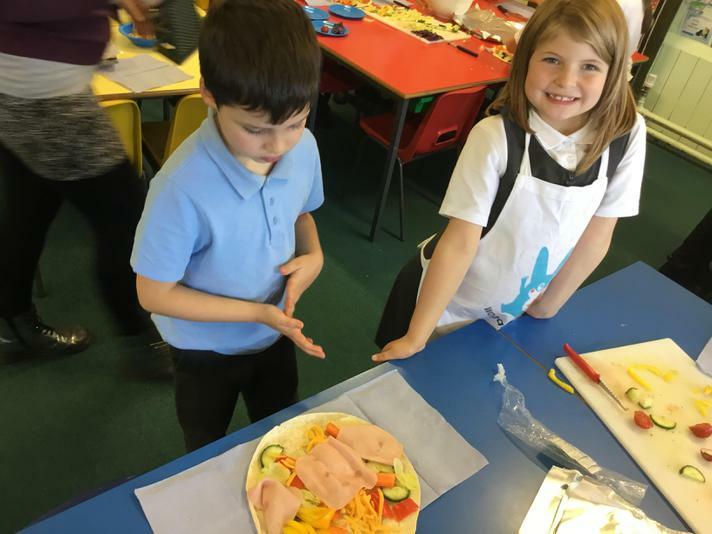 We hope to use this page a learning platform for children and parents, so watch out for videos, tutorials and links to other pages! 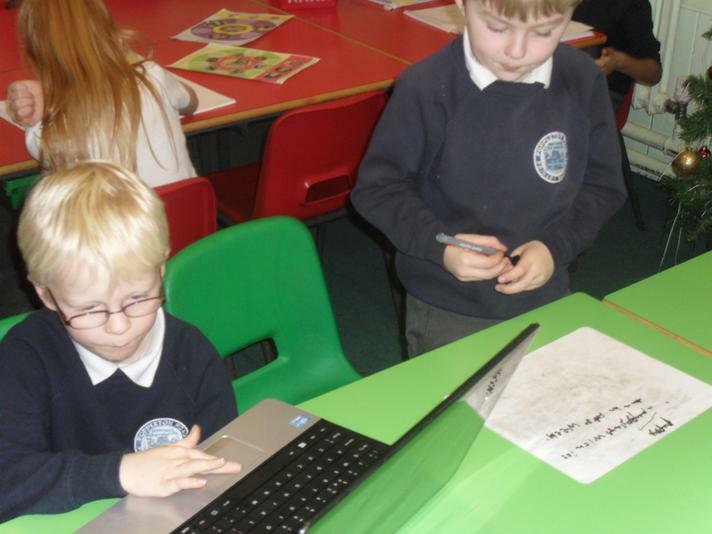 We are currently promoting the use of digital literacy with our new IPAD's. 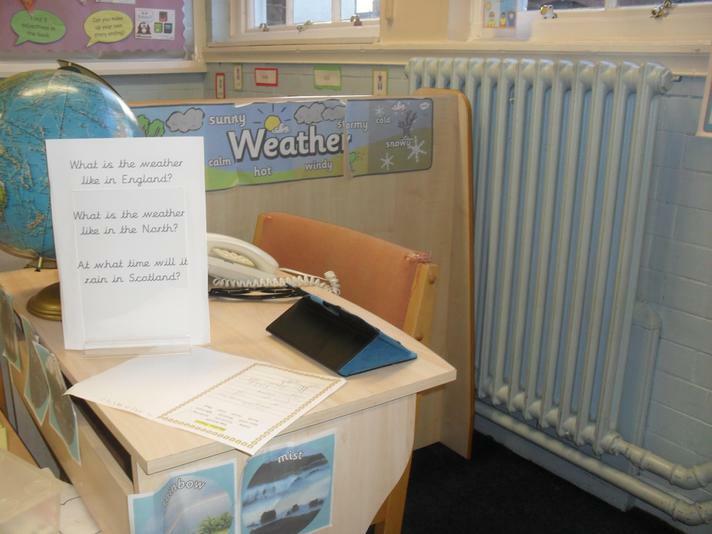 We think the use of IPAD's will enhance learning across the curriculum. 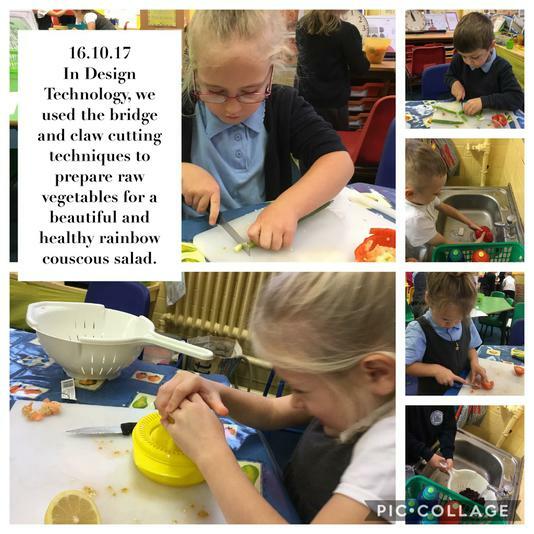 Design and technology prepares children to take a vital part in the advance of progress in today’s rapidly changing world. 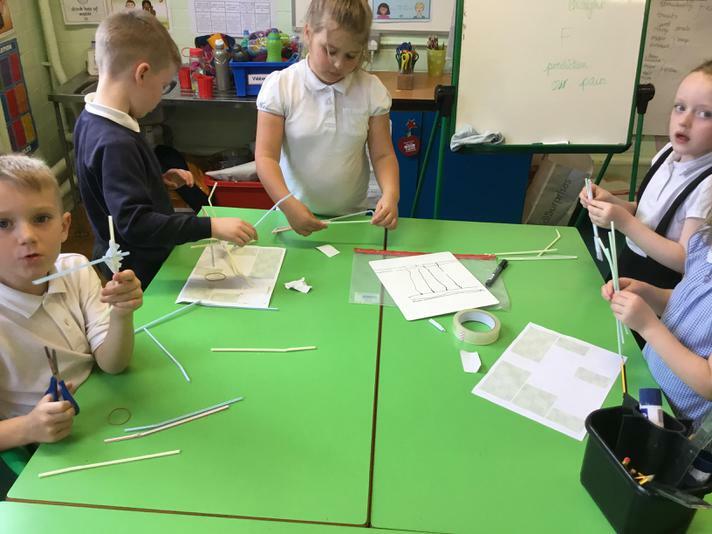 It enables pupils to identify needs and opportunities and to respond by developing ideas, and eventually making products and systems. 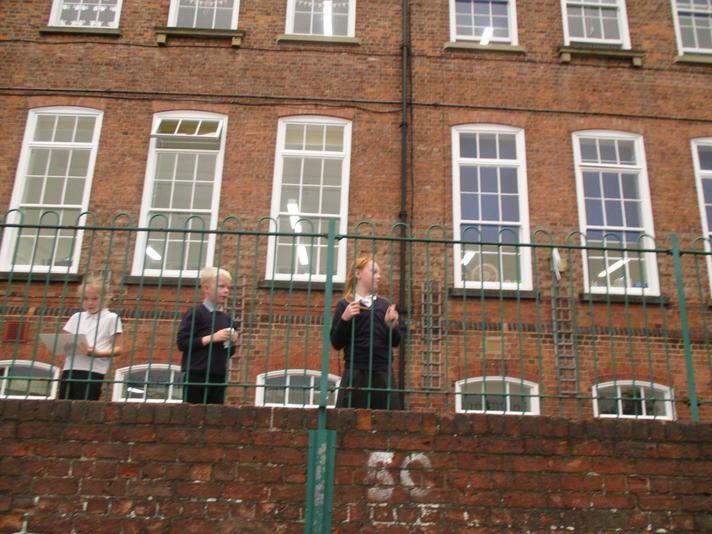 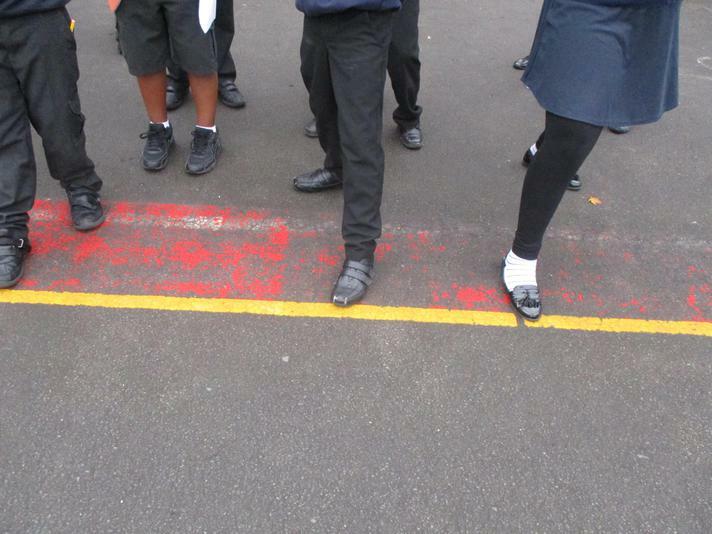 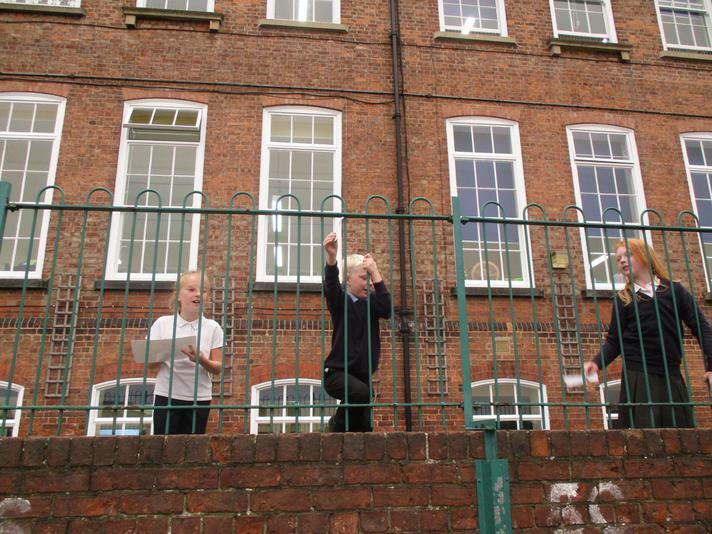 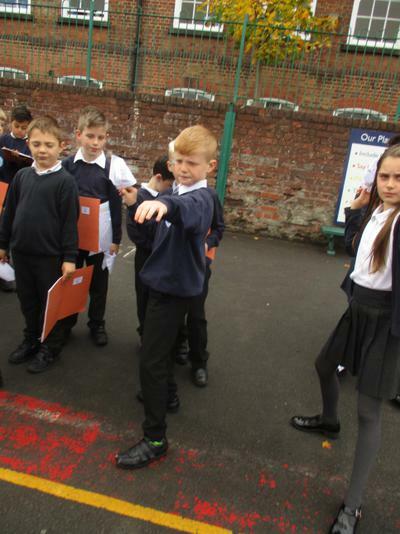 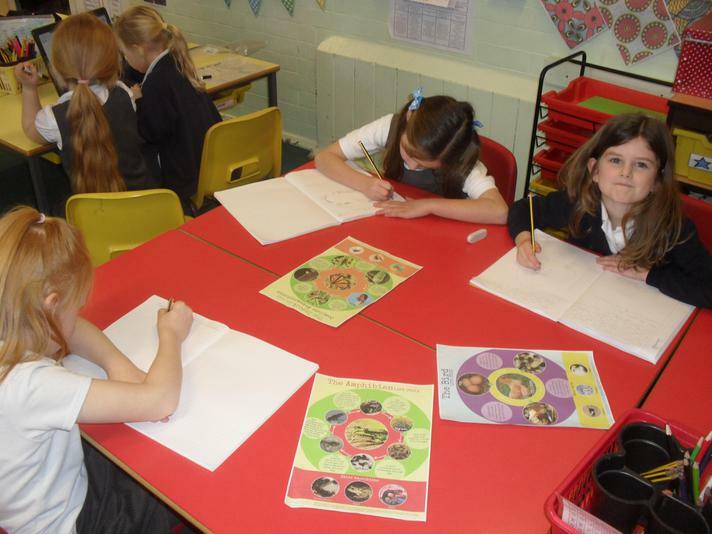 It encourages pupils to make positive changes to the quality of their own lives and that of others. 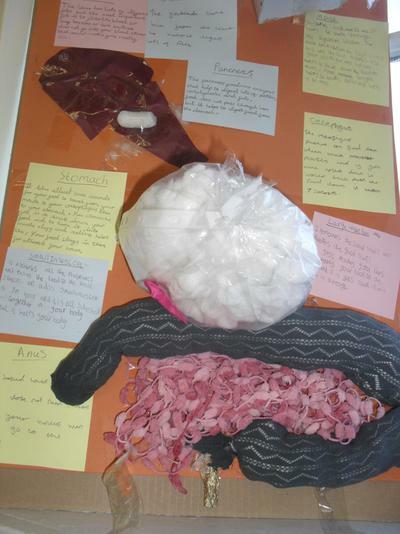 DT is a fantastic subject that allows students to be creative, design, make and evaluate. 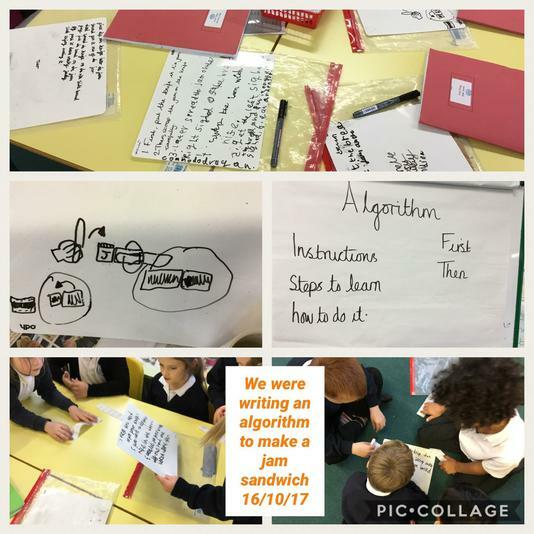 Our main aim in Design Technology this year is to link our designs with enterprise week so that we build something to sell and hopefully make a profit! 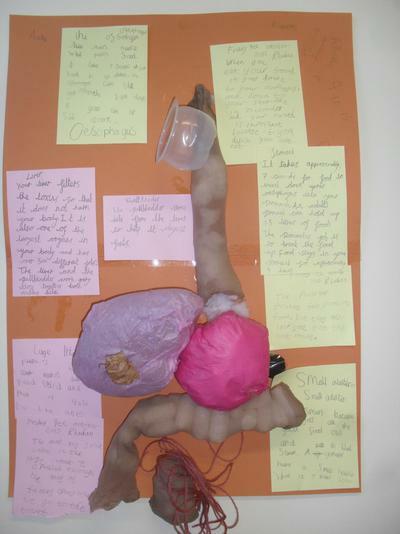 As DT leader, I am hoping to see more evidence of projects taking an environmentally friendly approach, for example using materials that have been recycled, due to the amazing recycling and environmental thinking that is happening in the school! 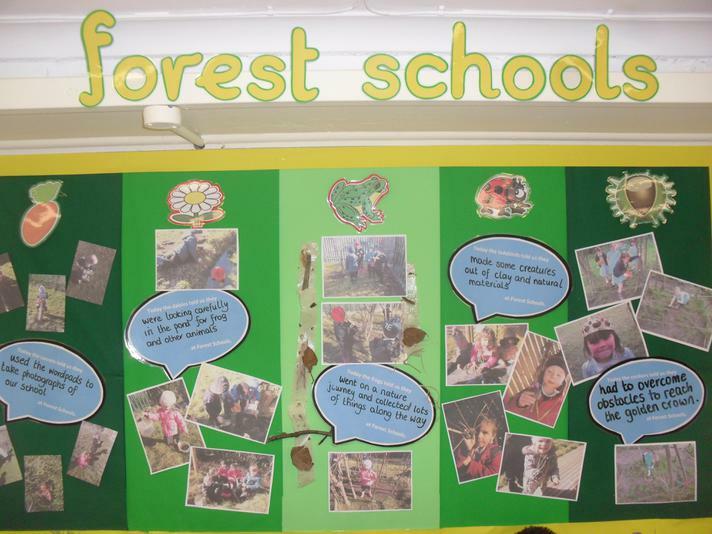 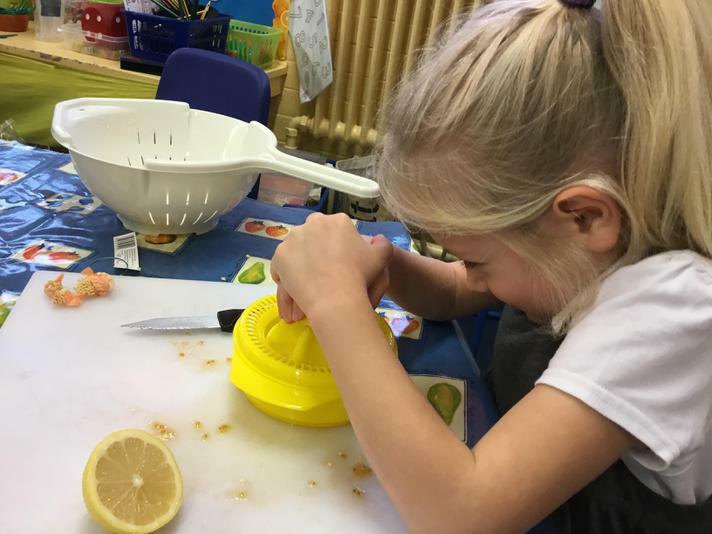 Reception children have been looking at similarities, differences and changes in their surrounding environment, through weekly forest school sessions. 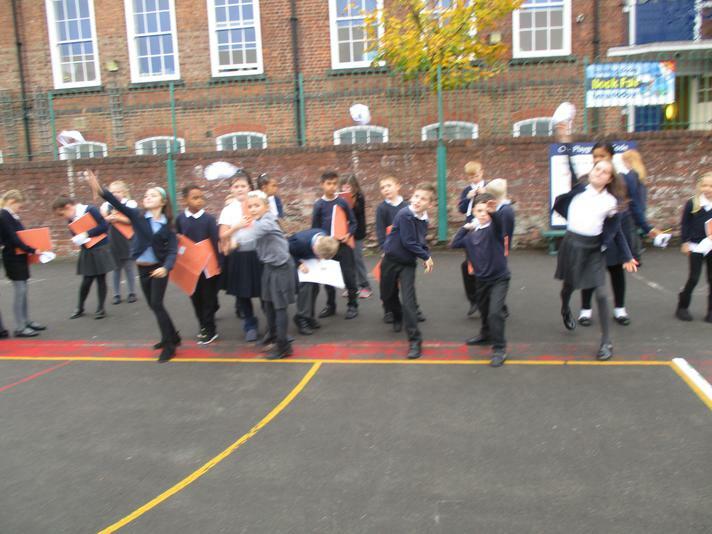 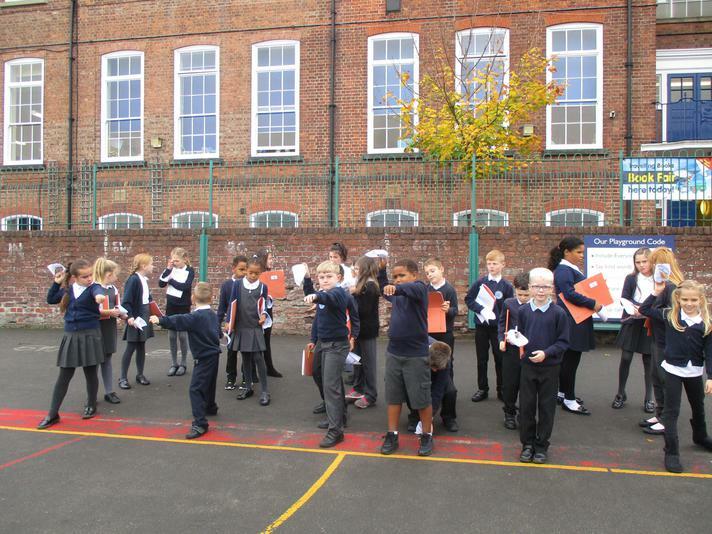 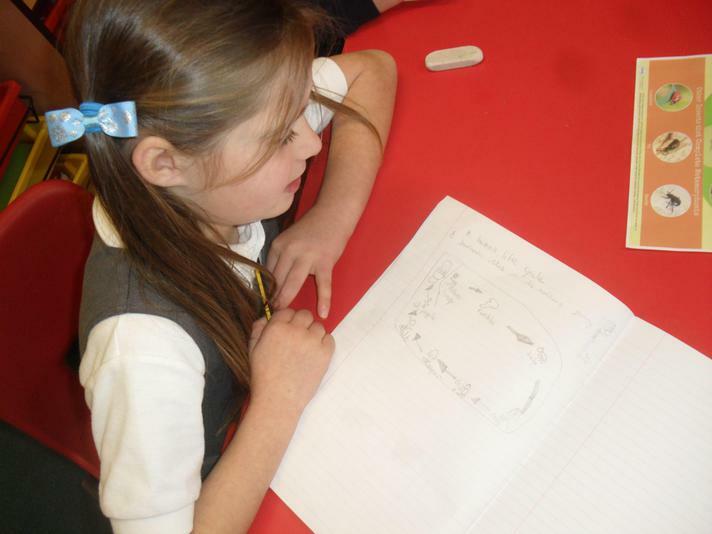 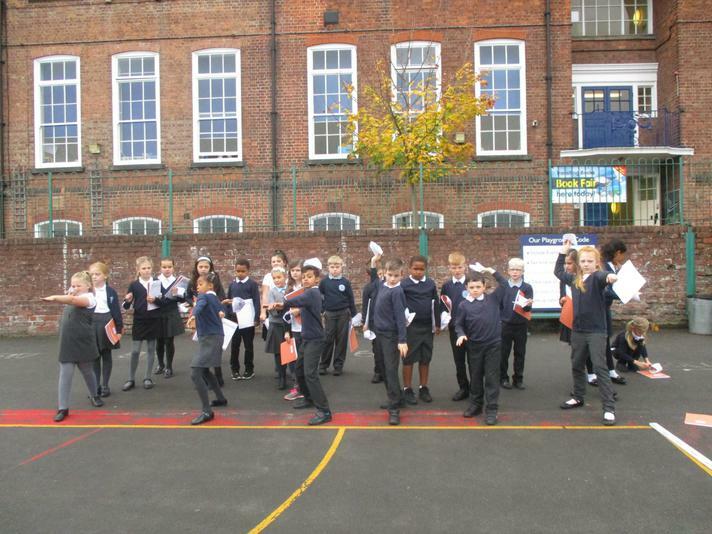 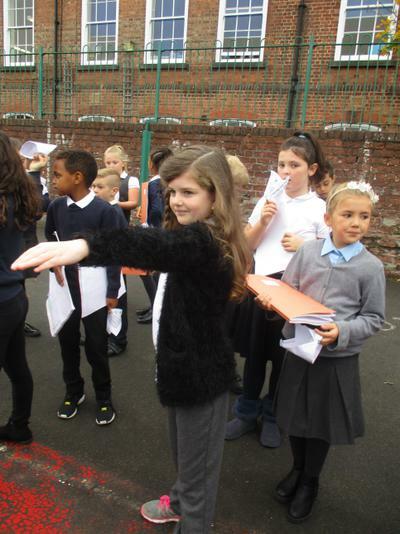 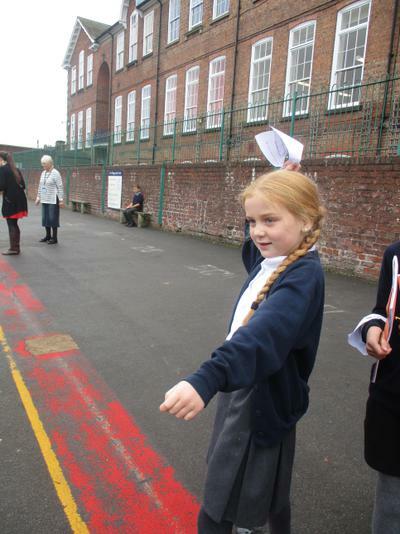 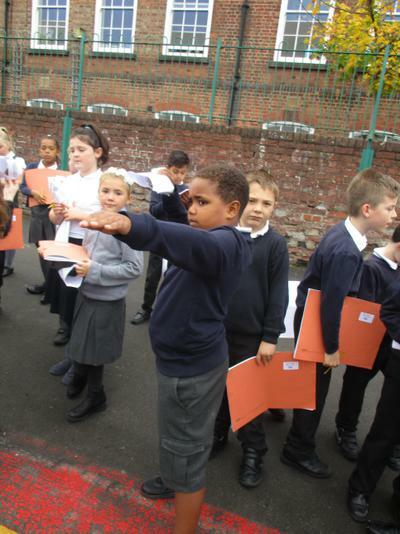 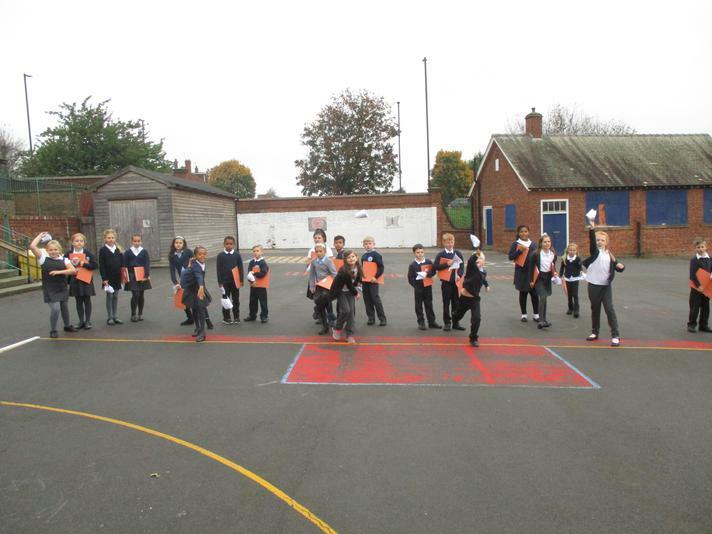 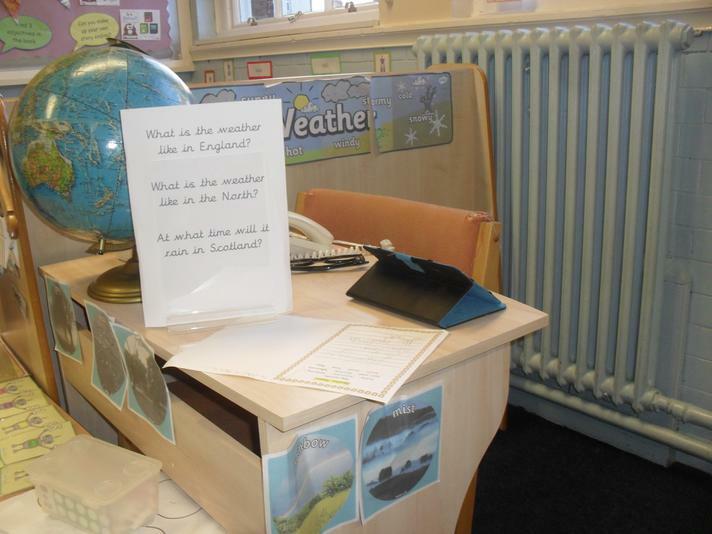 Children in Year 1 have been observing and describing weather associated with the seasons. 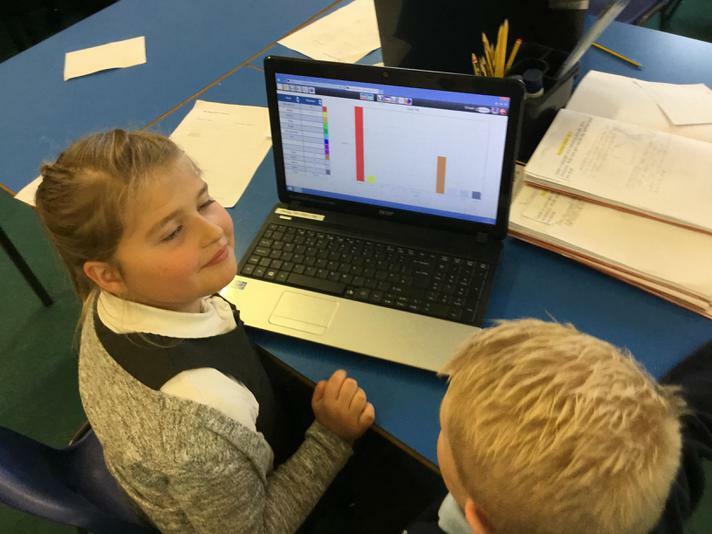 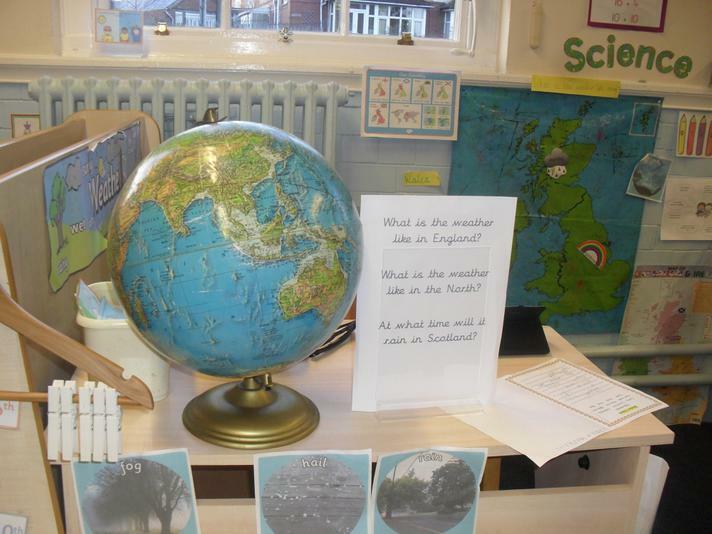 They have been working scientifically by: making tables and charts about the weather; and making displays of what happens in the world around them, including day length, as the seasons change. 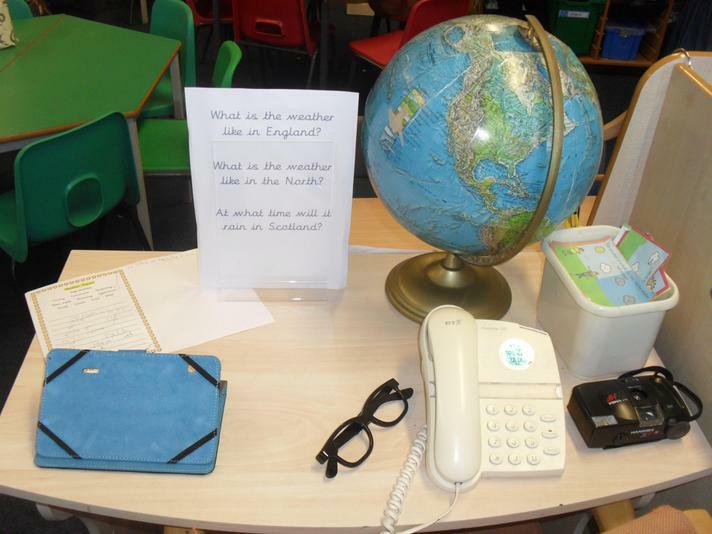 Year 1 also have a weather role play area where they can write and perform their own weather reports. 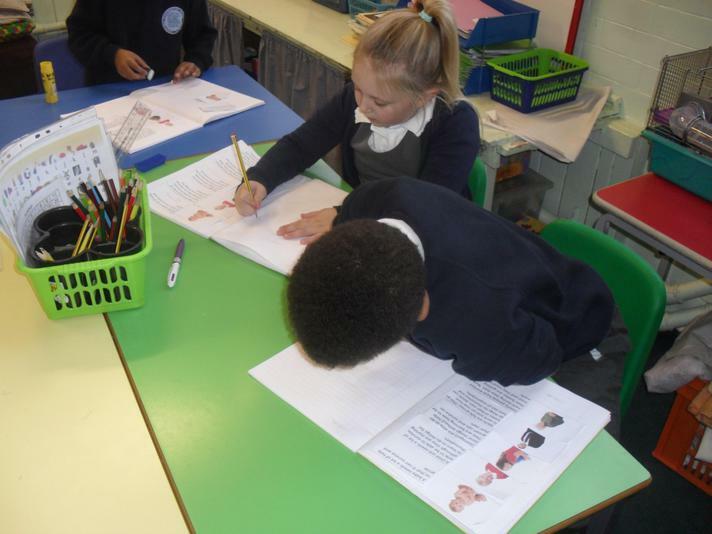 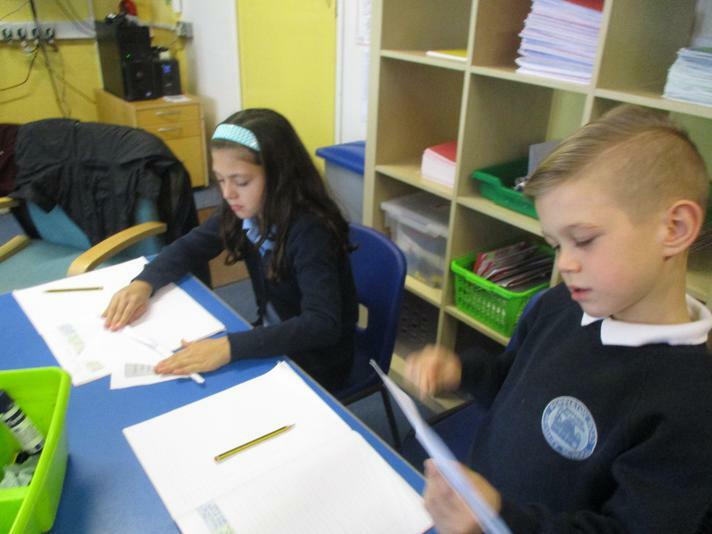 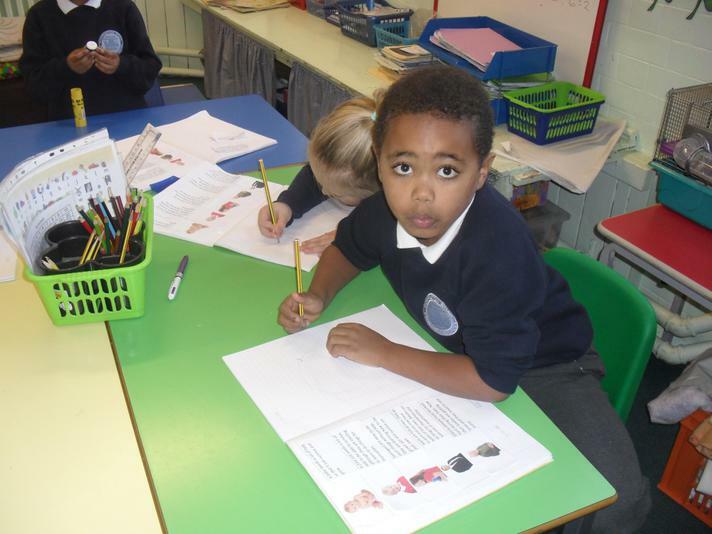 Year 2 have been finding out about the basic needs of animals for survival, as well as the importance of exercise and nutrition for humans. 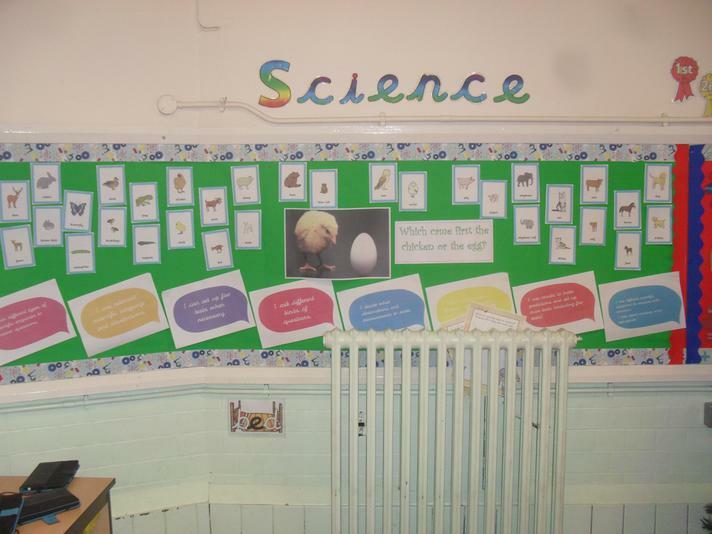 They also had a very special visitor, who brought in lots of animals for the children to see and learn about the babies that each animal had. 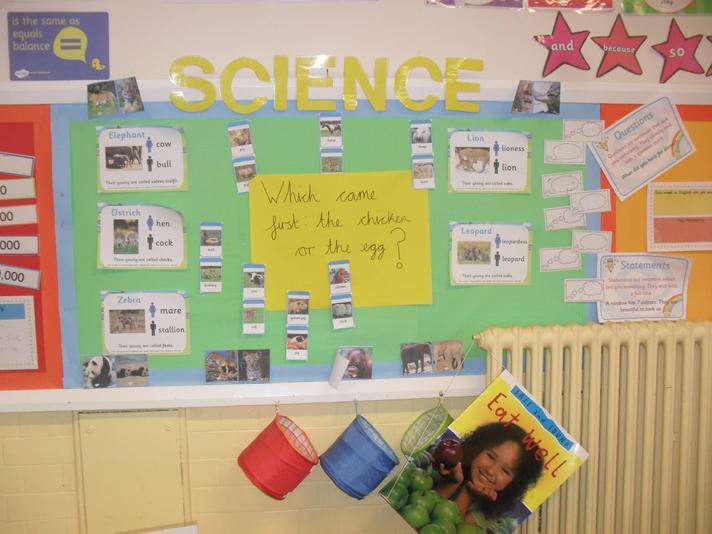 They have worked scientifically by: observing, through video and measurement, how different animals, including humans, grow; asking questions about what things animals need for survival and what humans need to stay healthy; and suggesting ways to find answers to their questions. 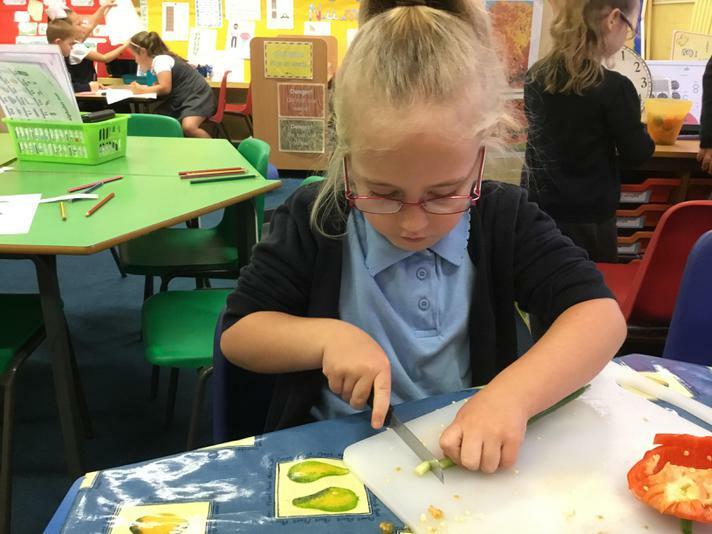 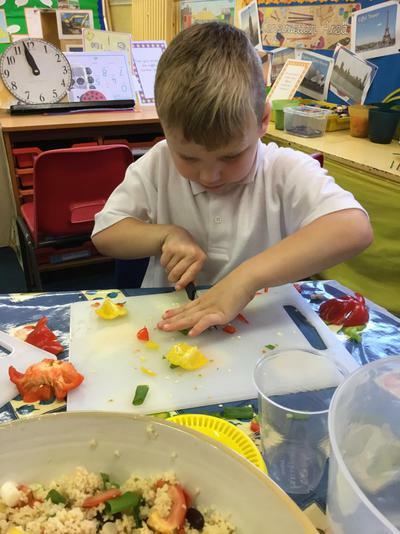 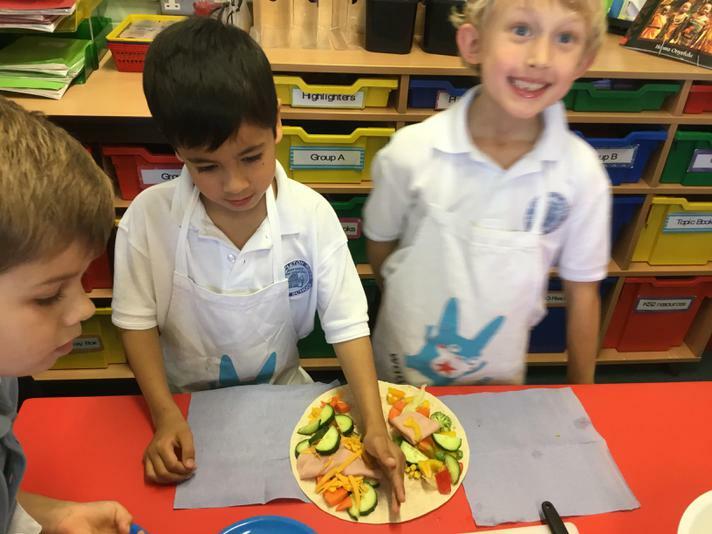 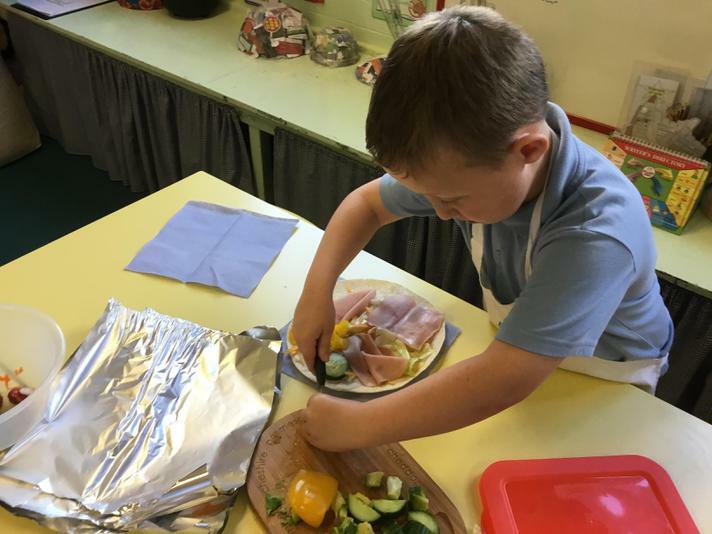 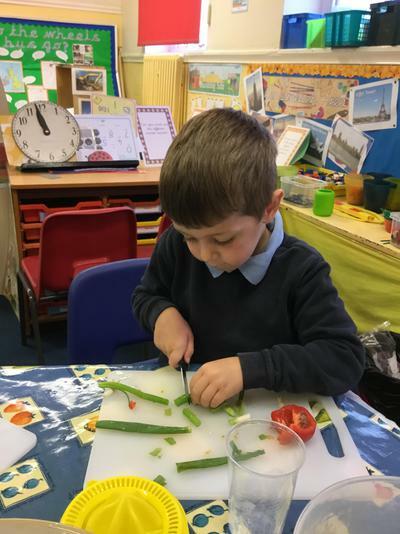 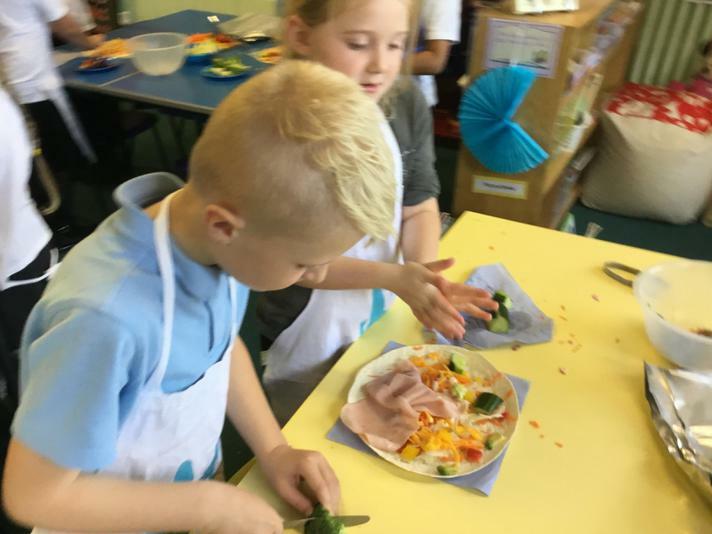 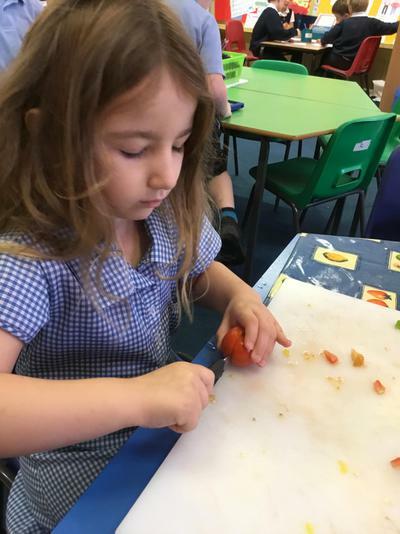 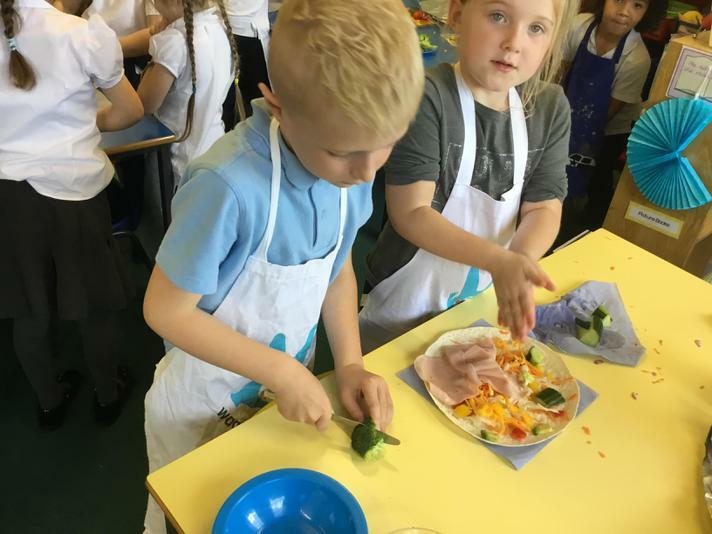 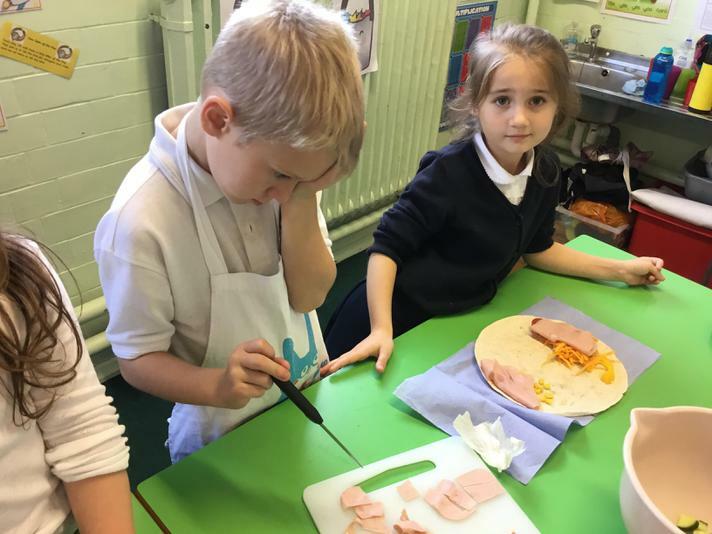 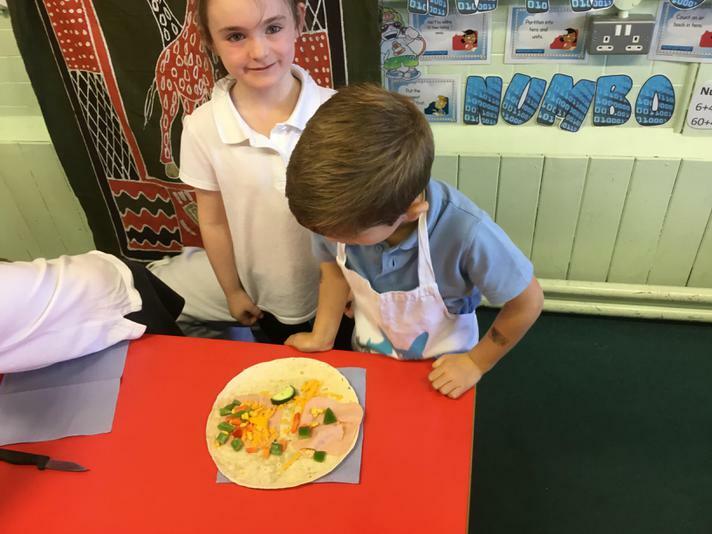 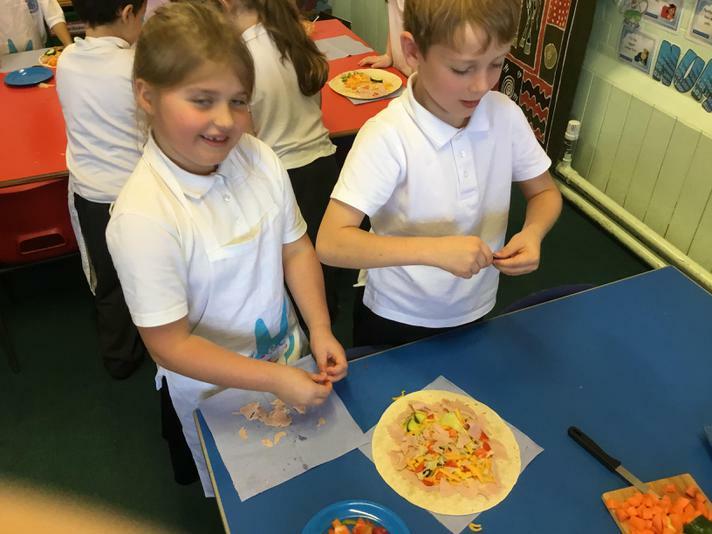 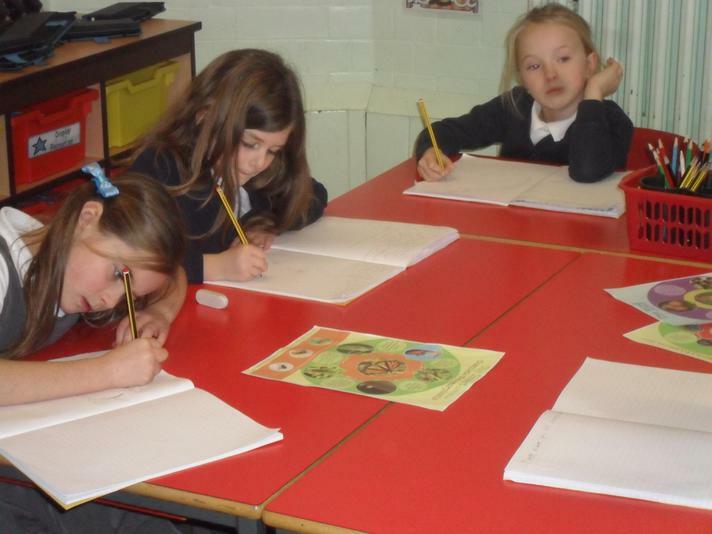 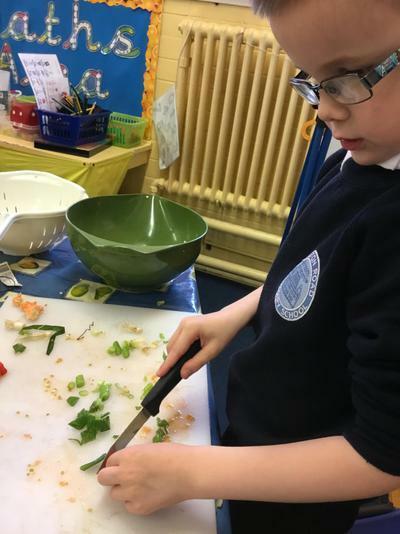 Year 3 have been finding out animals, including humans, need the right types and amount of nutrition, and that they cannot make their own food; they get nutrition from what they eat. 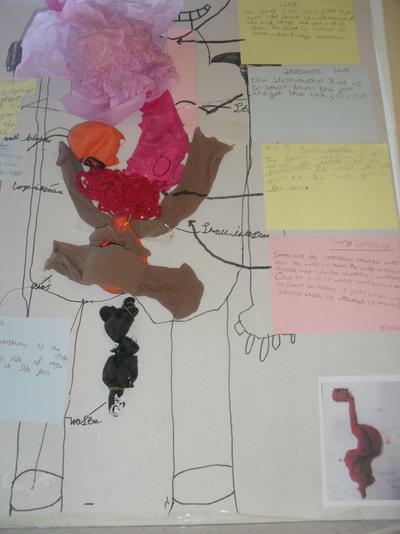 They have also been researching that humans and some other animals have skeletons and muscles for support, protection and movement. 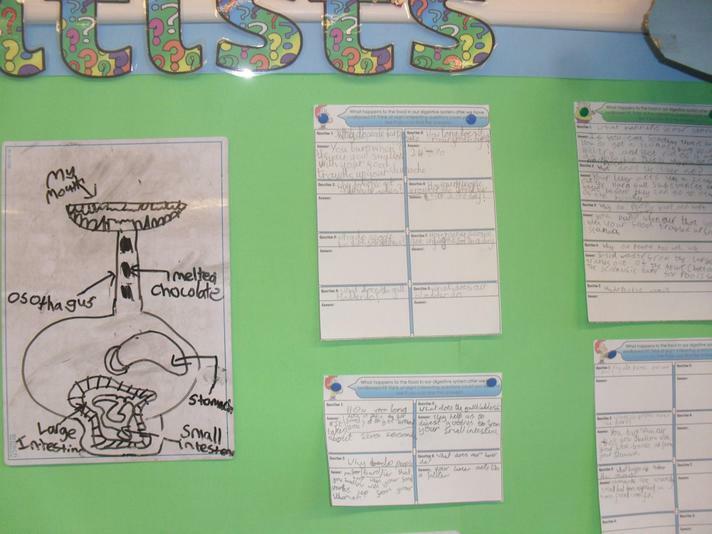 Year 3 have worked scientifically by: identifying and grouping animals with and without skeletons and observing and comparing their movement; exploring ideas about what would happen if humans did not have skeletons. 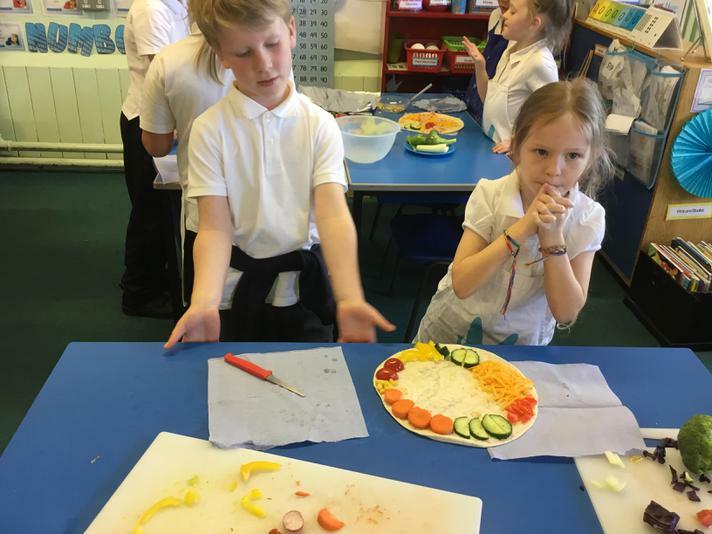 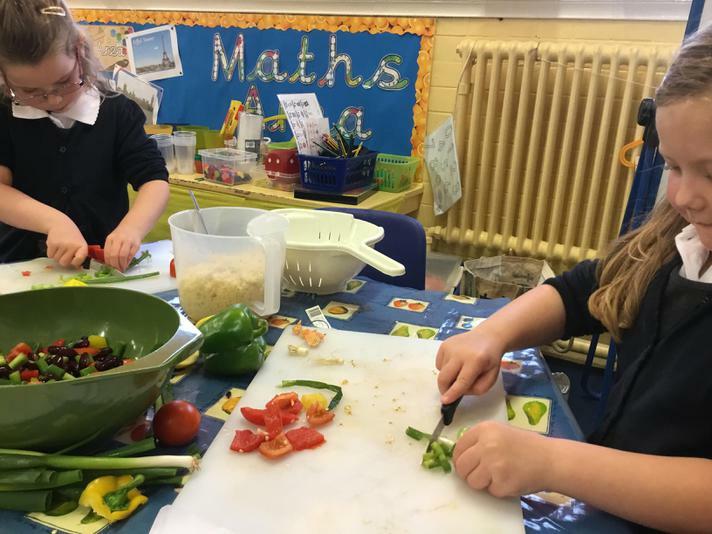 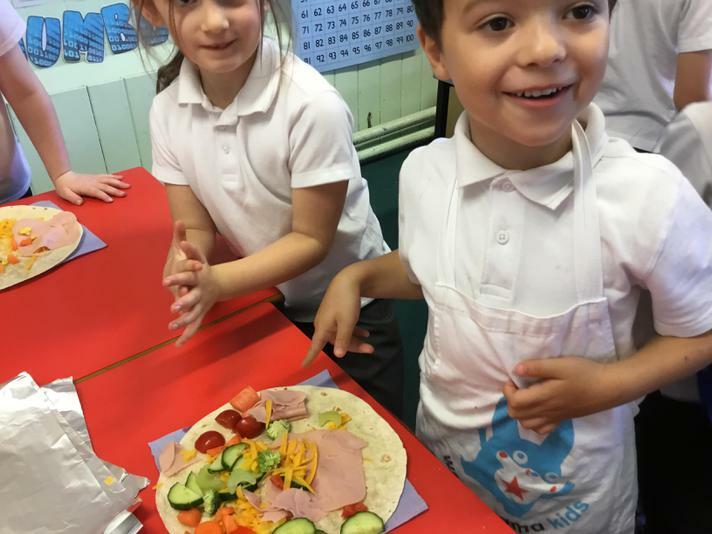 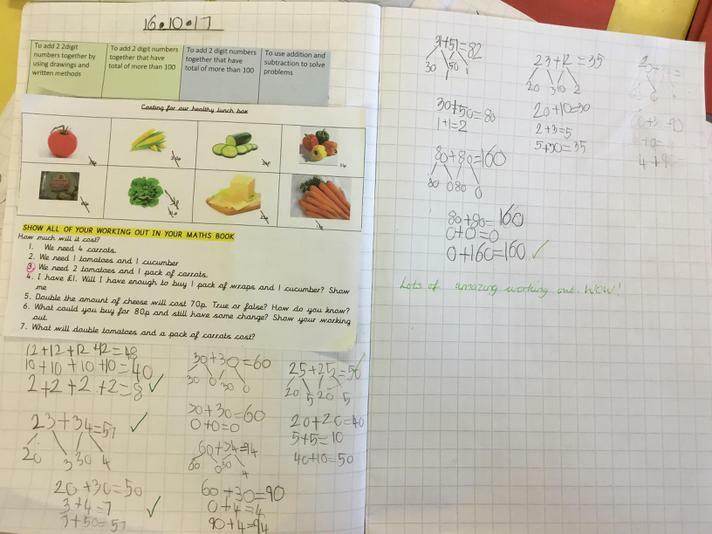 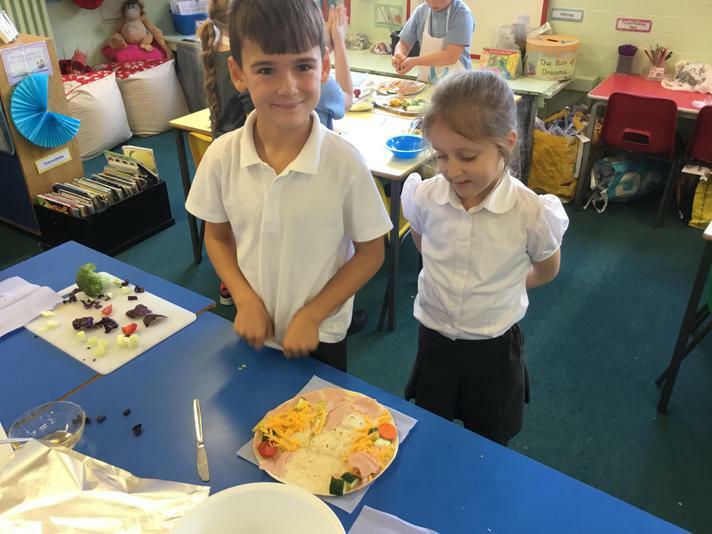 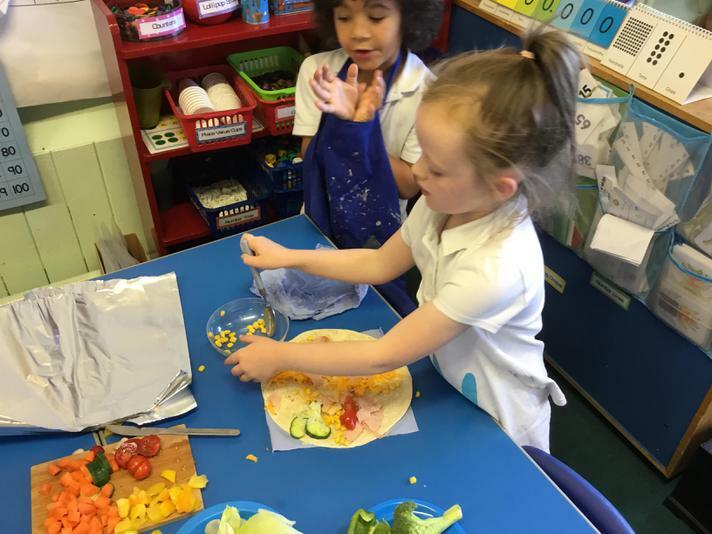 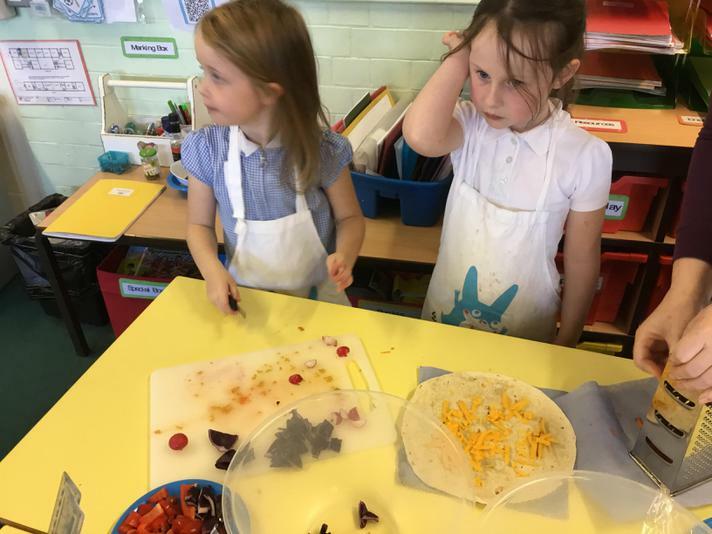 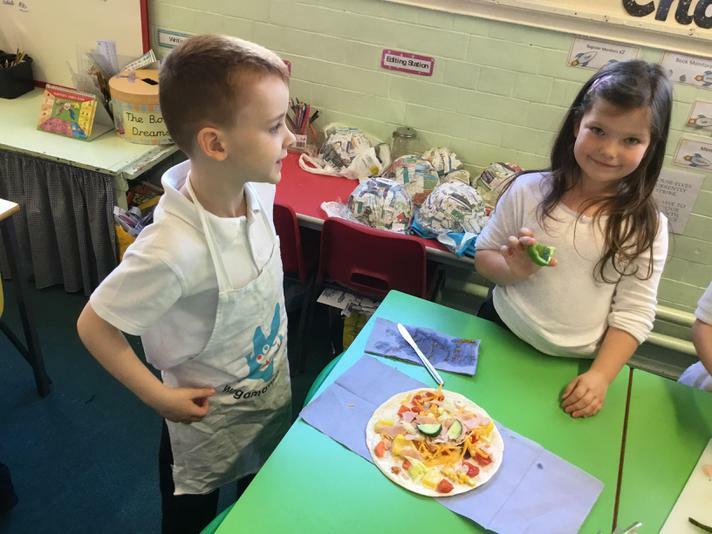 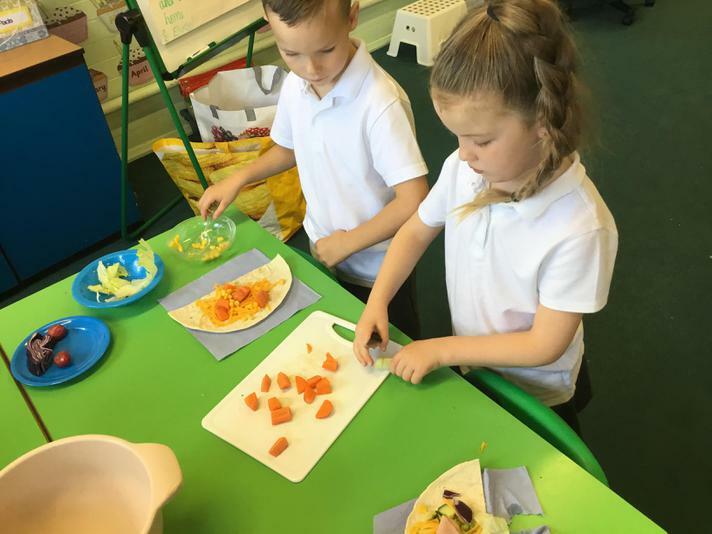 They have compared and contrasted the diets of different animals (including their pets) and decided on ways of grouping them according to what they eat. 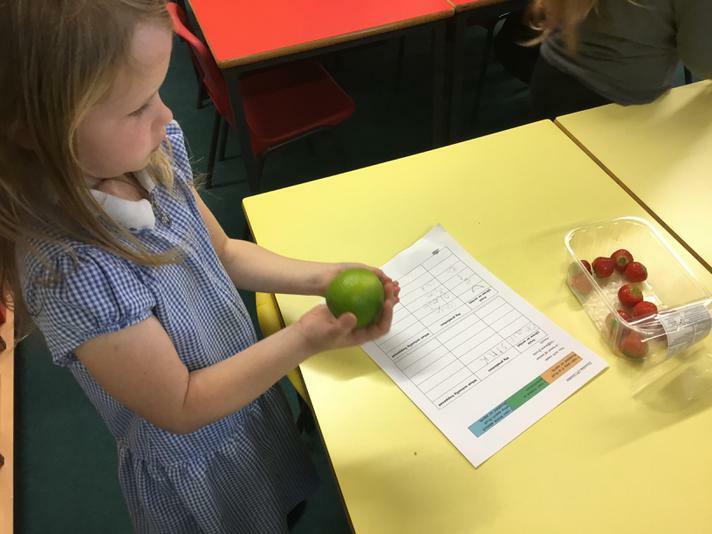 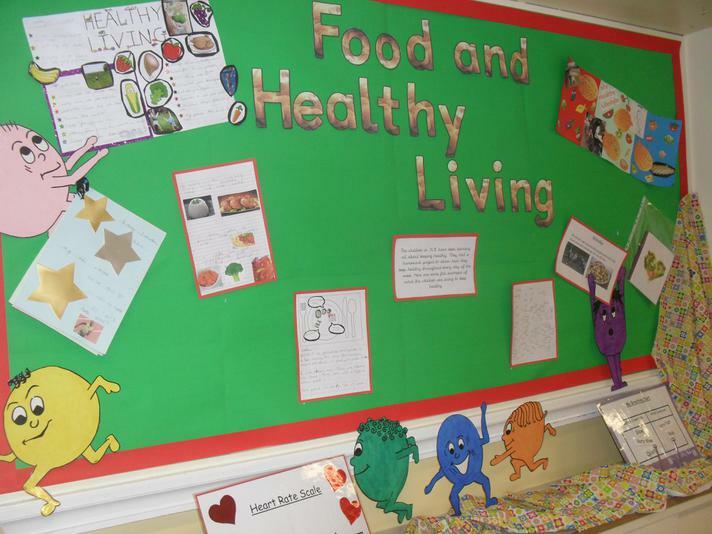 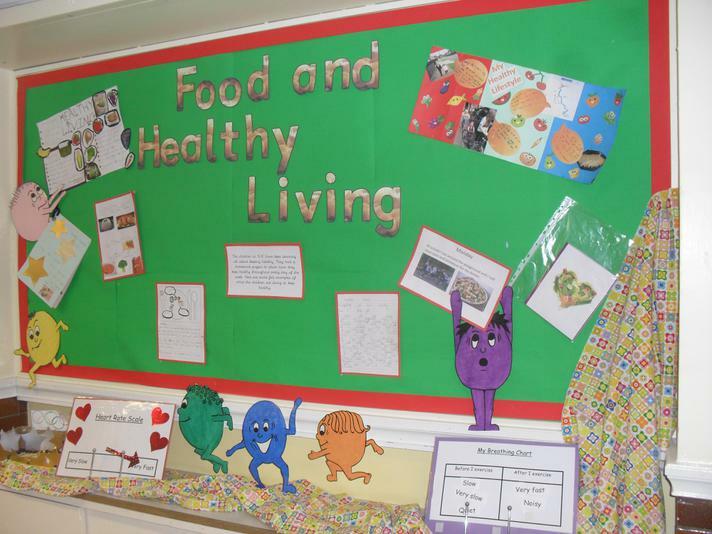 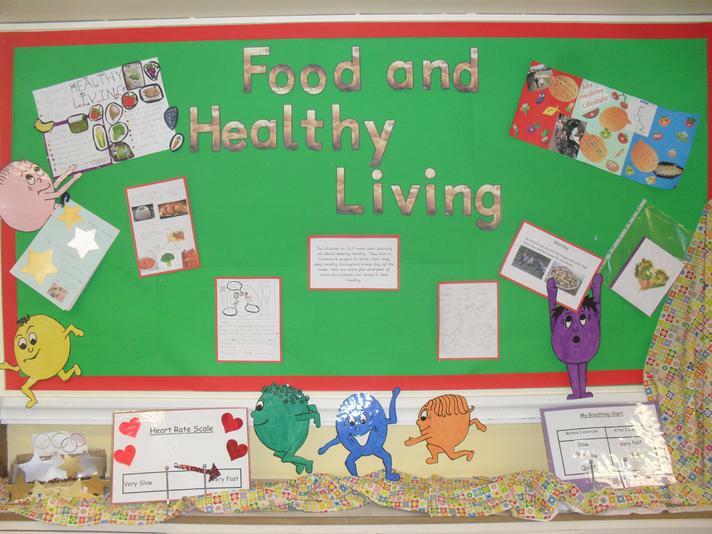 They have researched different food groups and how they keep us healthy and designed meals based on what they found out. 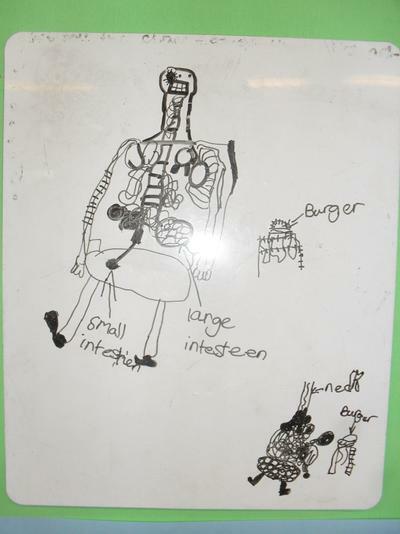 Year 4 have been learning about the main body parts associated with the digestive system, for example, mouth, tongue, teeth, oesophagus, stomach and small and large intestine and have explored questions that helped them to understand their special functions. 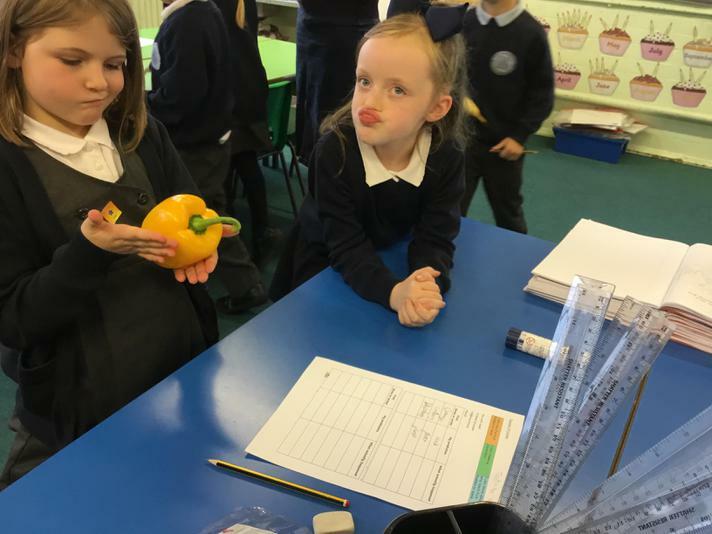 Year 4 worked scientifically by: comparing the teeth of carnivores and herbivores and suggested reasons for the differences; finding out what damages teeth through an experiment using egg shells, and how to look after teeth. 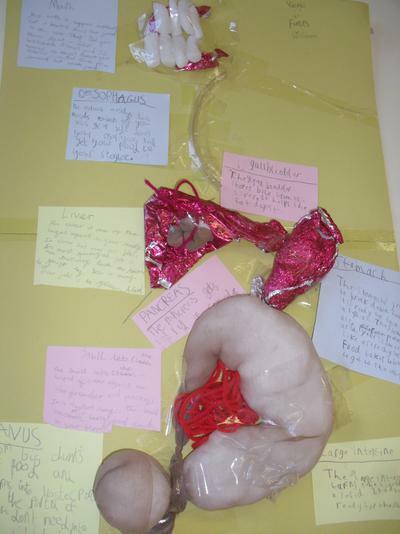 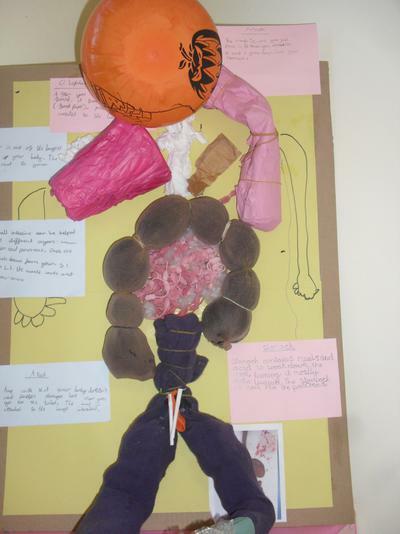 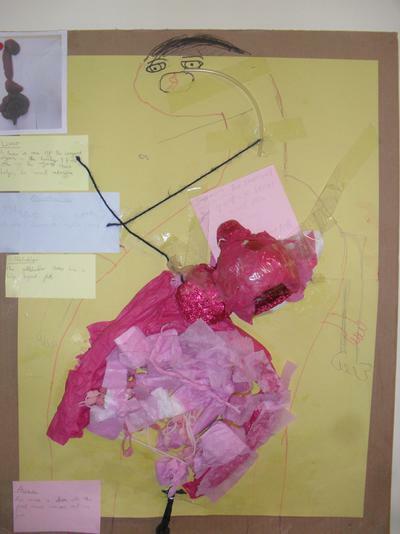 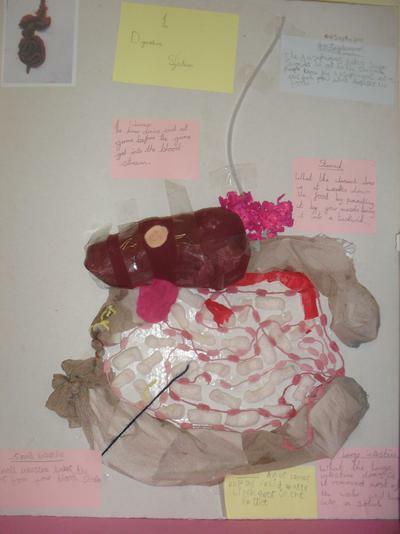 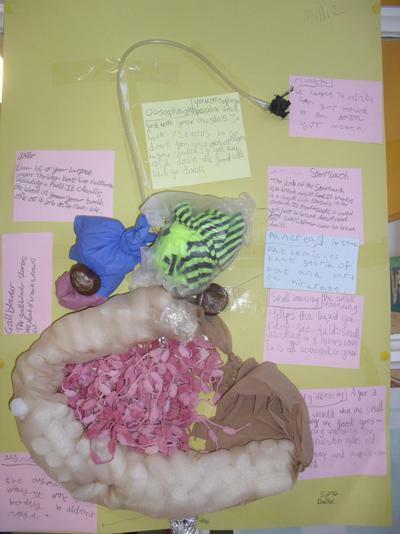 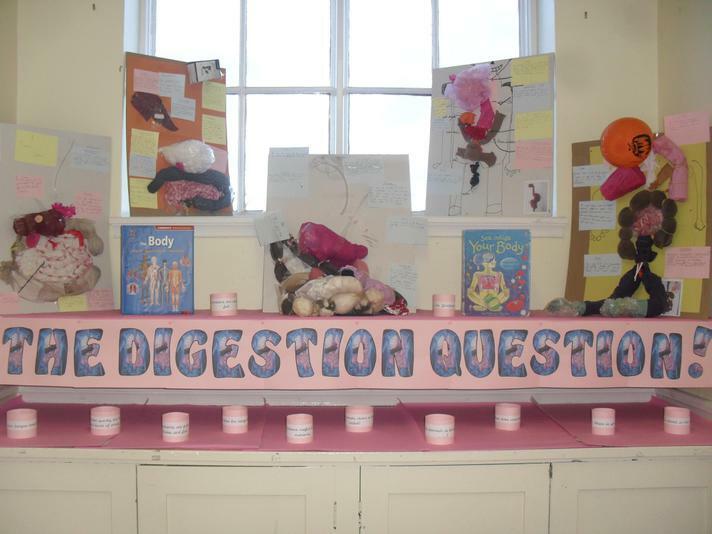 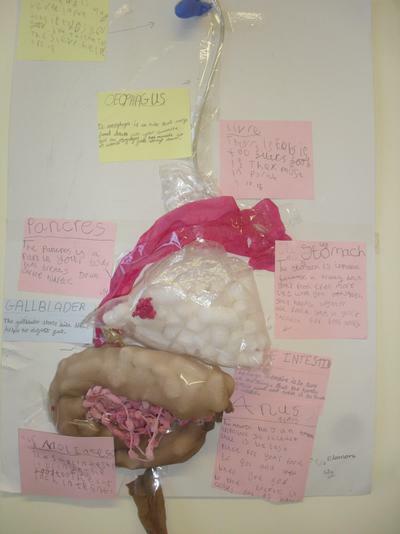 They discussed their ideas about the digestive system and created their own amazing models which are currently on display in the KS2 corridor. 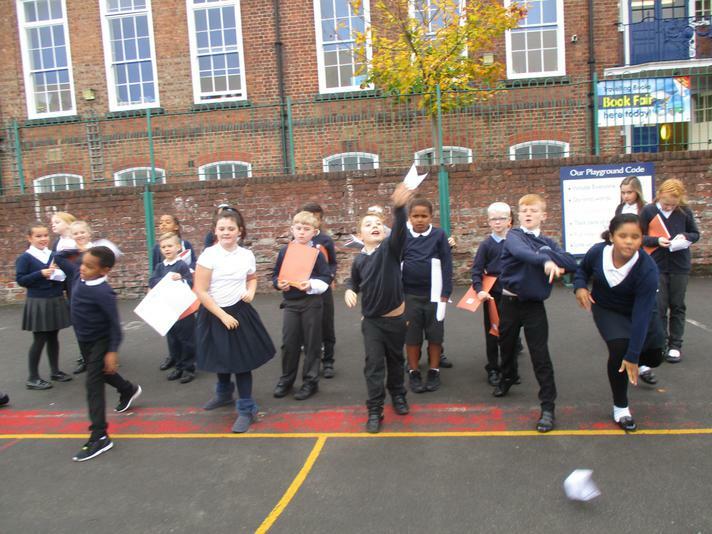 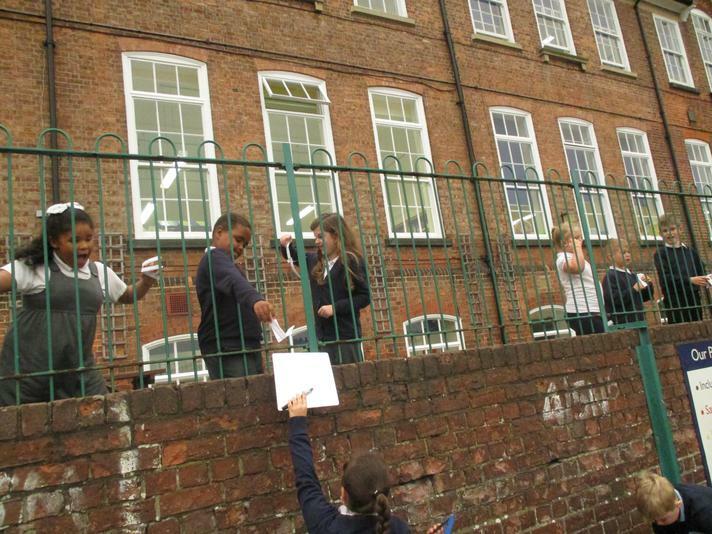 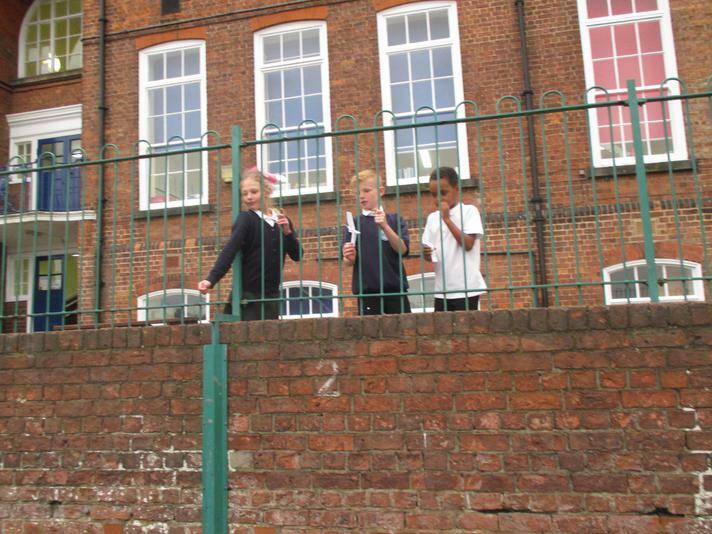 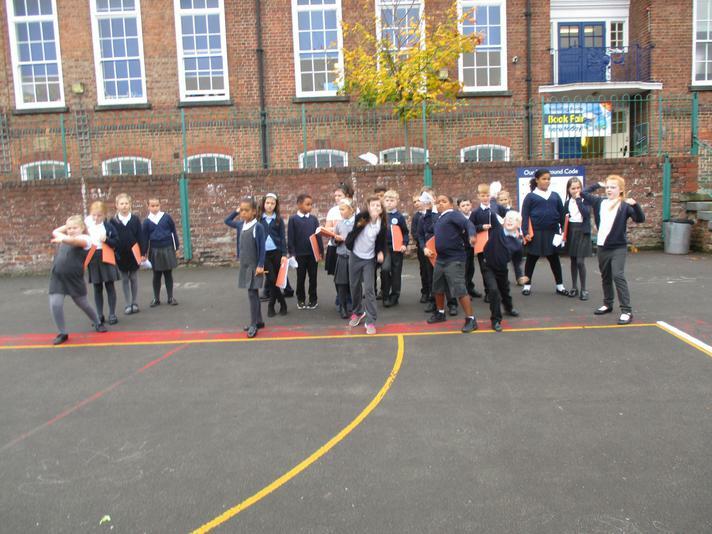 Year 5 have been studying forces and have investigated the effects of air resistance, water resistance and friction, which act between moving surfaces. 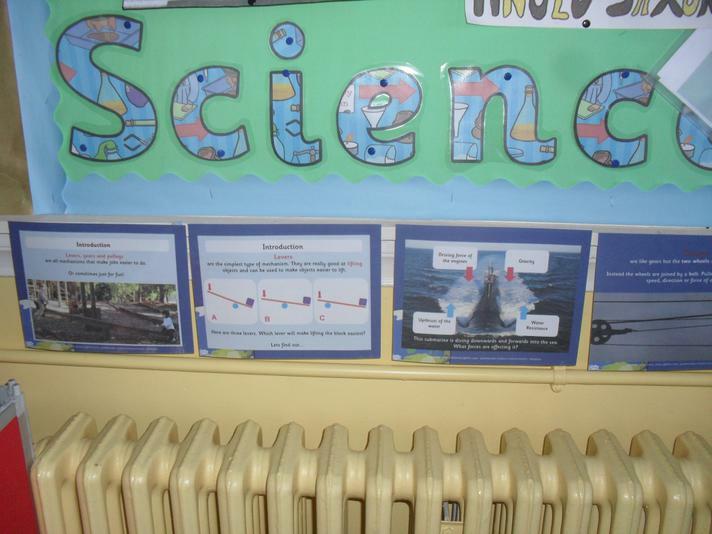 Children worked scientifically by: exploring resistance in water by making and testing boats of different shapes. 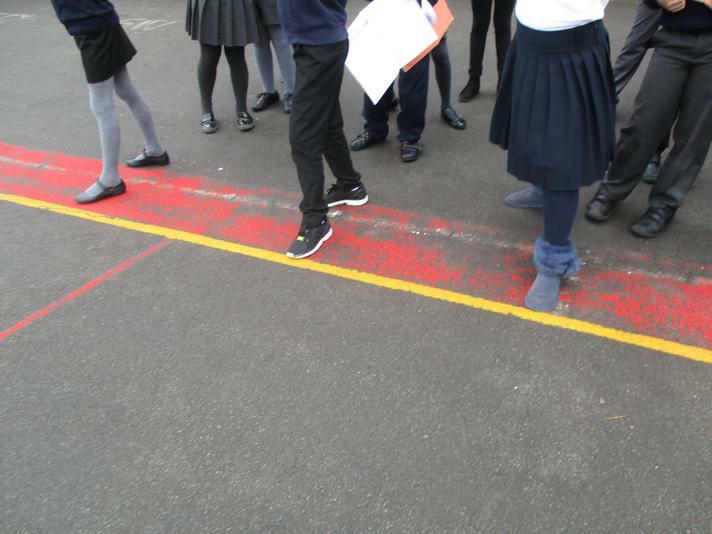 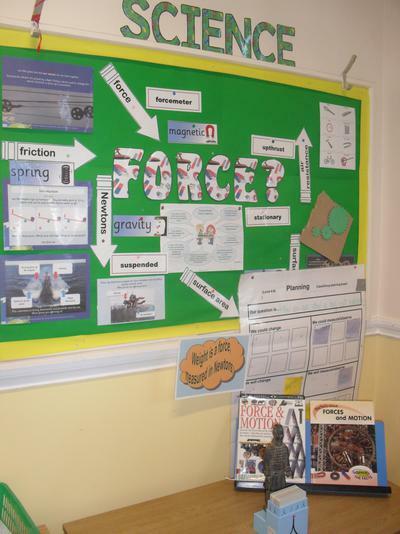 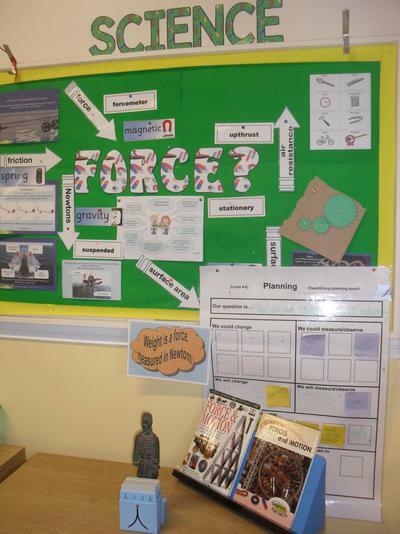 Year 5 will continue to work on forces next term during their Space topic. 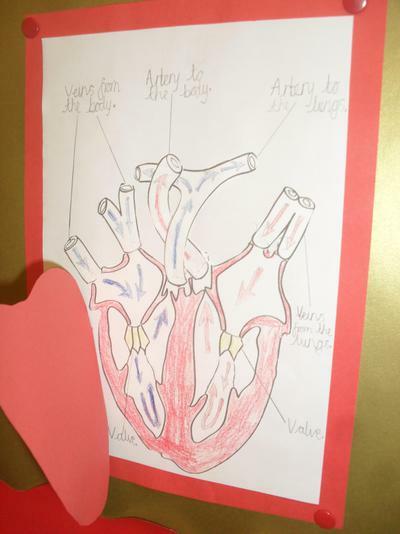 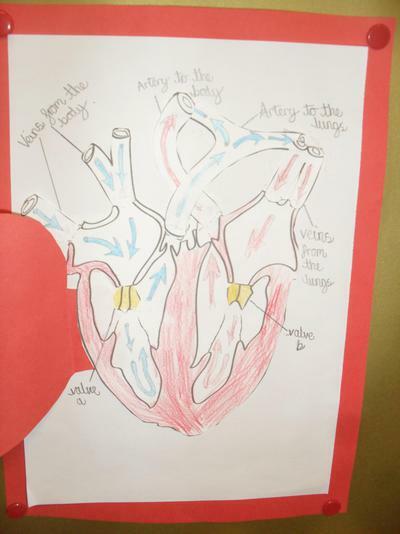 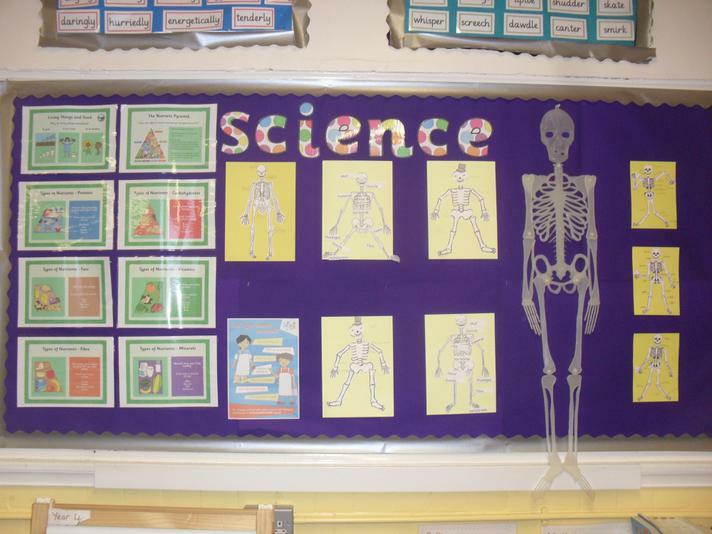 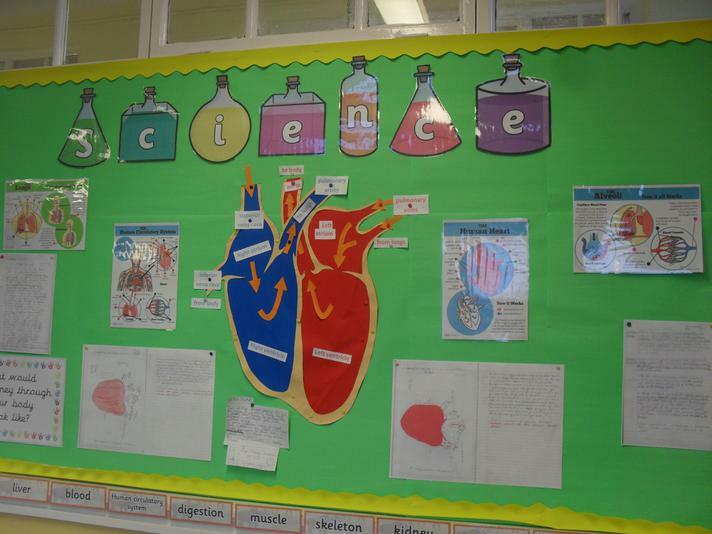 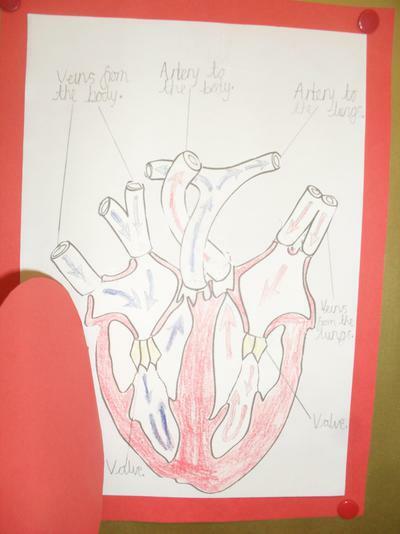 Year 6 have been building on their learning from Years 3 and 4 about the main body parts and internal organs (skeletal, muscular and digestive system) to explore and answer questions that help them to understand how the circulatory system enables the body to function. 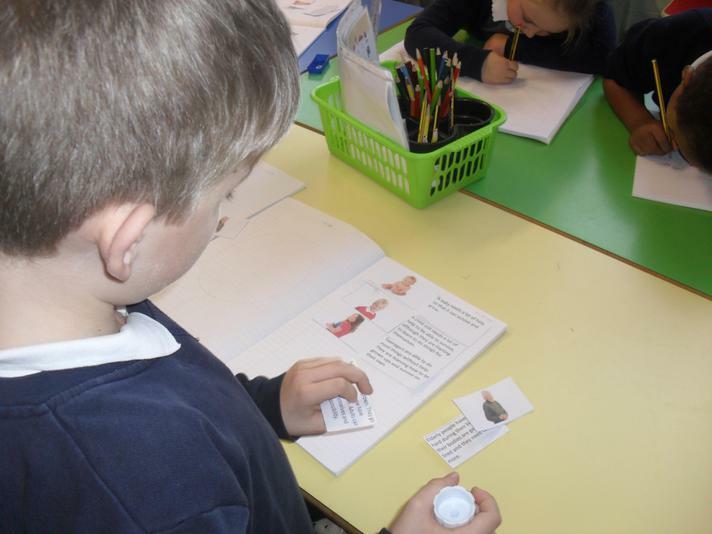 Year 6 were inspired by a visiting scientist, who brought microscopes and slides into class for the children to observe. 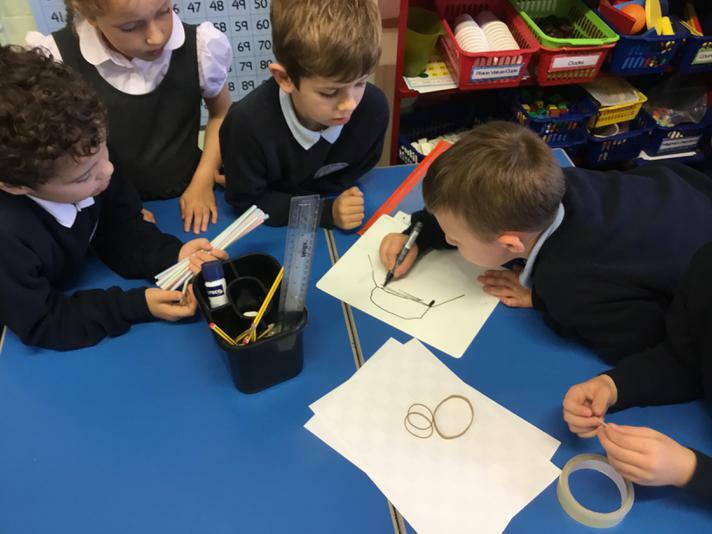 Children were able to observe closely and make accurate drawings of an onion cell, a grain of salt, sugar and other microscopic objects. 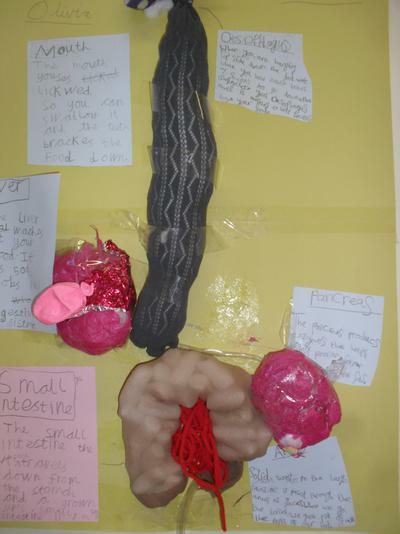 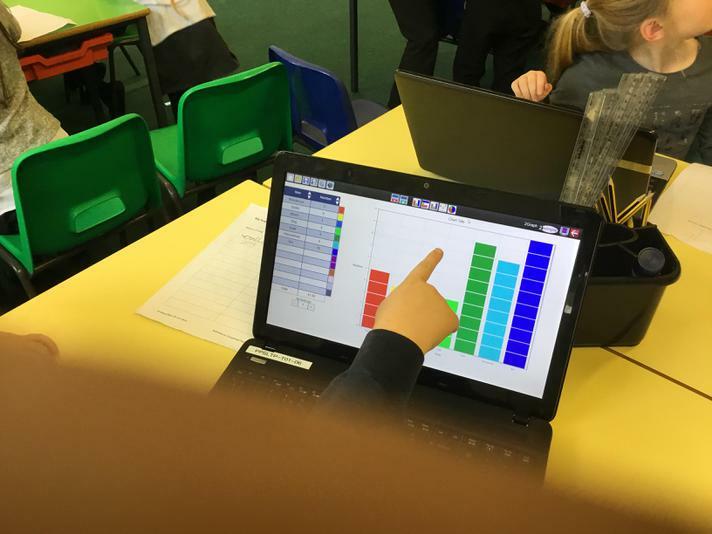 Our visitor also introduced the year 6 classes to some famous women in science, which Year 6 continued to research and create a presentation about. 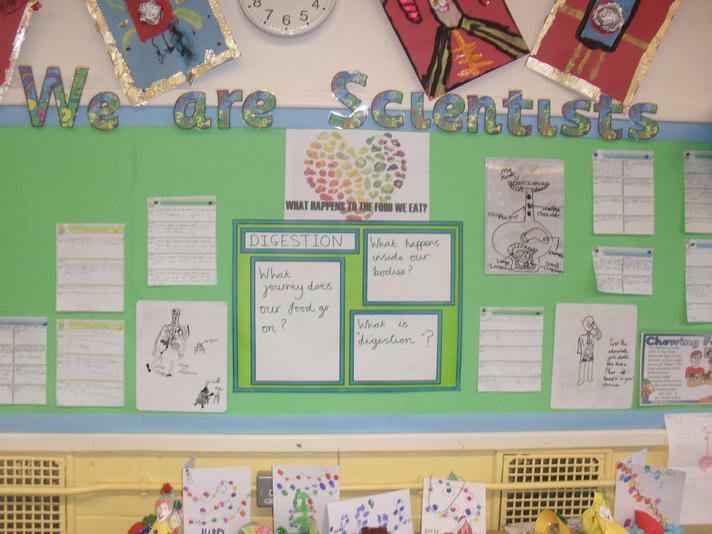 Children worked scientifically by: exploring the work of scientists and scientific research and making careful observations using equipment (microscopes). 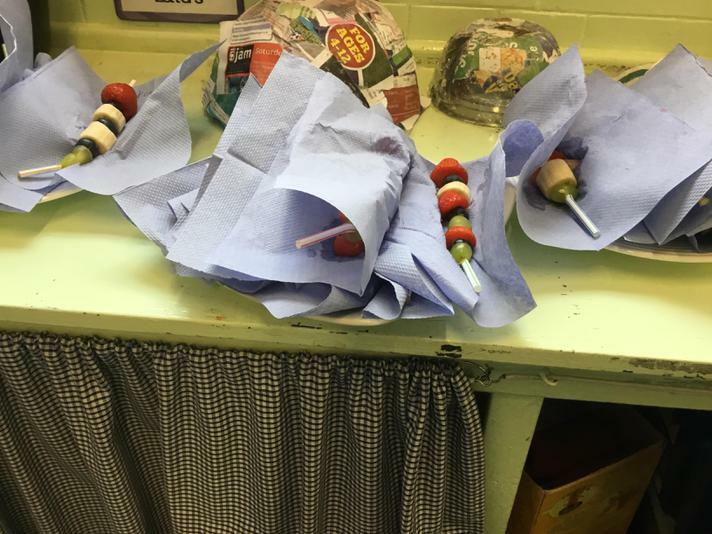 This fun Christmas science experiment is part of the National Science Learning Centre's iTunes U ibook collection https://itunes.apple.com/gb/institution/national-science-learning/id580170047 Demonstrating Static Electricity Equipment used: One balloon, two or more thin strands of light tinsel Procedure: Tie the strands of tinsel together, cutting off any lose ends. 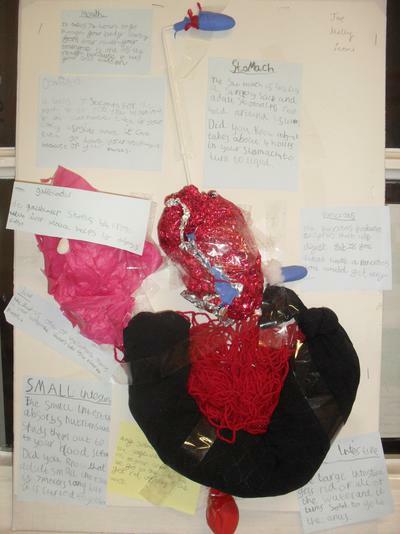 This fun science experiment is one of six Christmas science experiments that are now available to download from the National Science Learning Centre's iTunes U website https://itunes.apple.com/gb/institution/national-science-learning/id580170047 Properties of Gas as demonstrated by this Magic Gas experiment Equipment used: Cup, candle, alka seltzer Procedure: This Christmas science activity demonstrates the properties of gases, in particular that CO2 is heavier than air. 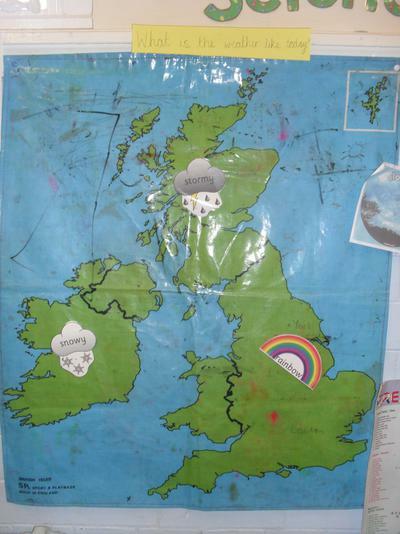 The melting ice cubes science experiment is a fun Christmas science experiment for kids. 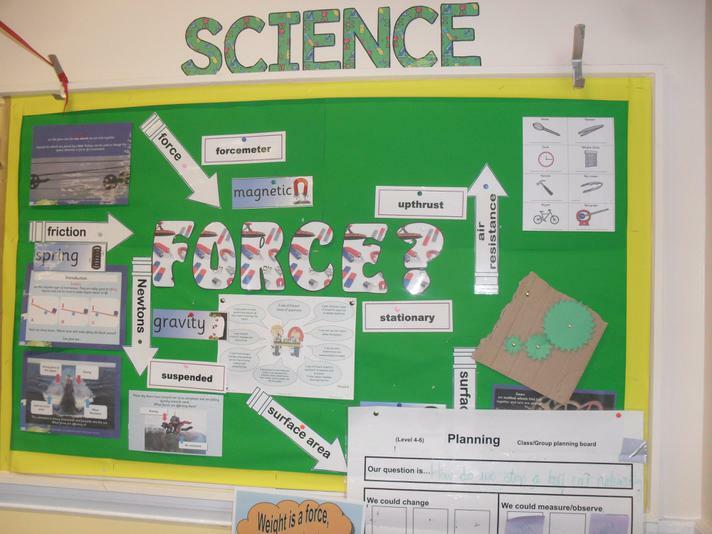 It can be done in the classroom and is great for science activities around the Christmas table. 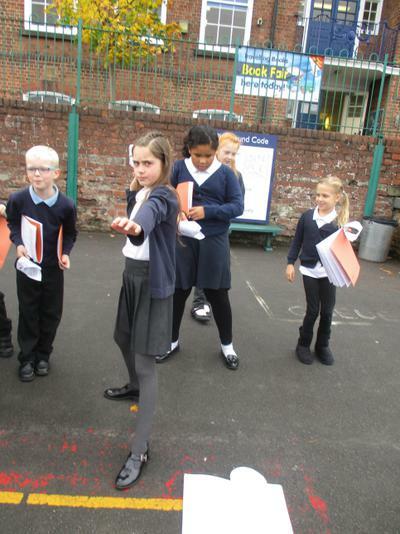 This video is also available as an ibook in our Itunes U library https://itunes.apple.com/gb/institution/national-science-learning/id580170047 Energy conduction is the primary process the Melting ice cubes experiment demonstrates. 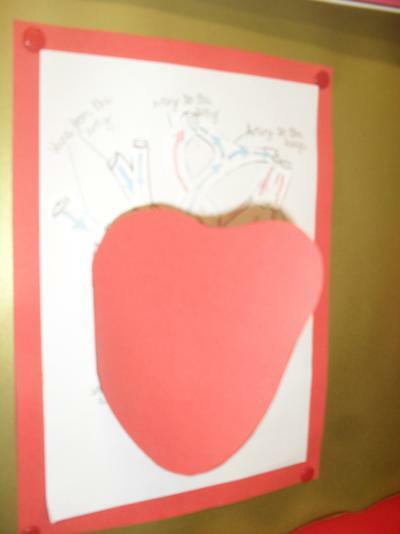 This fun Christmas science experiment is part of the National Science Learning Centre's iTunes U collection. 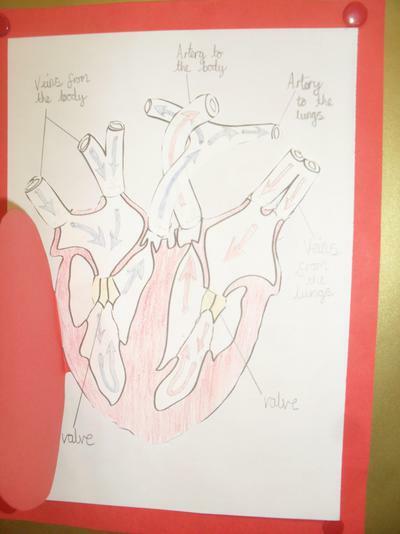 It is also available as a downloadable ibook from our Itunes U pages https://itunes.apple.com/gb/institution/national-science-learning/id580170047 The Christmas Jumping Flames Science Experiment shows burning fuels Equipment used: Candle, matches, suitable non flammable surface for the candle Procedure: Christmas Jumping Flames is very simple - but it does have a certain wow factor! 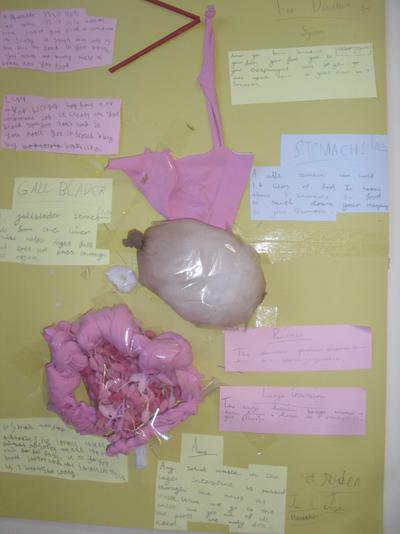 This Christmas science experiment video is part of the National Science Learning Centre's iTunes U collection. 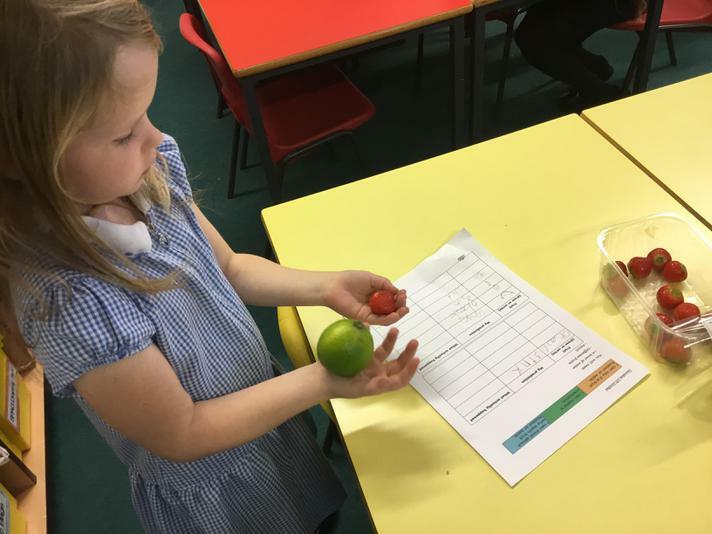 https://itunes.apple.com/gb/institution/national-science-learning/id580170047 Science Experiment: The power of enzymes to break down protein Equipment used: Jelly (made up and set), bowl for jelly, fresh pineapple Procedure: Make up some jelly (the best one for this experiment is the packet stuff made from animal protein) and put in bowl (leave it to set) Take some fresh pineapple, (tinned pineapple won't work) and place on top of the jelly.